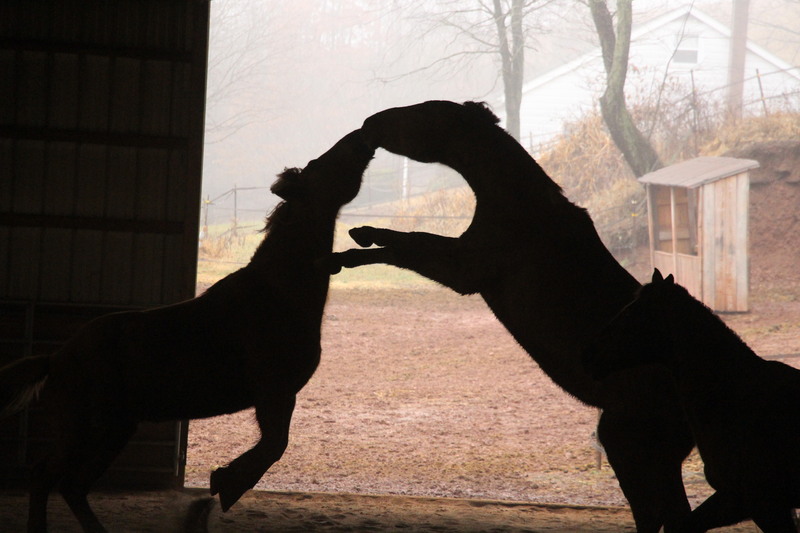 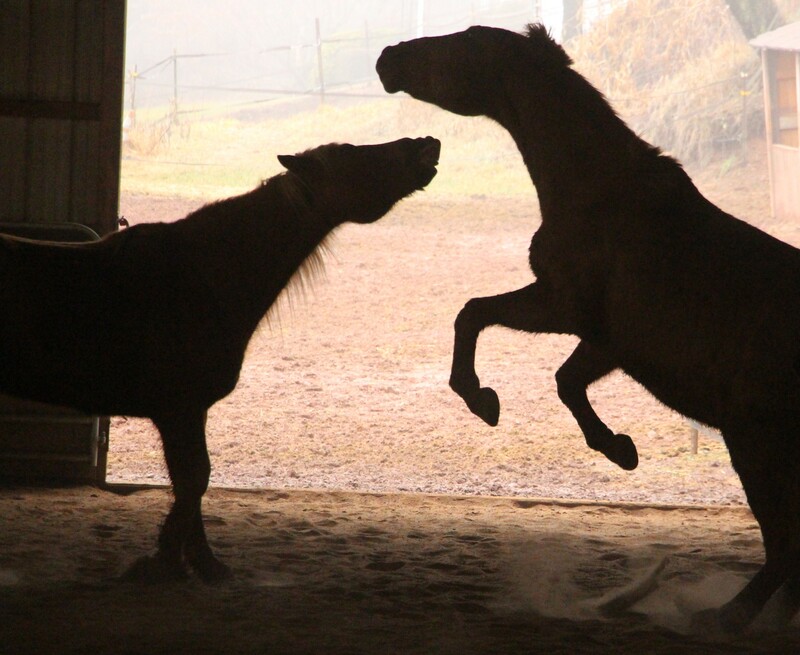 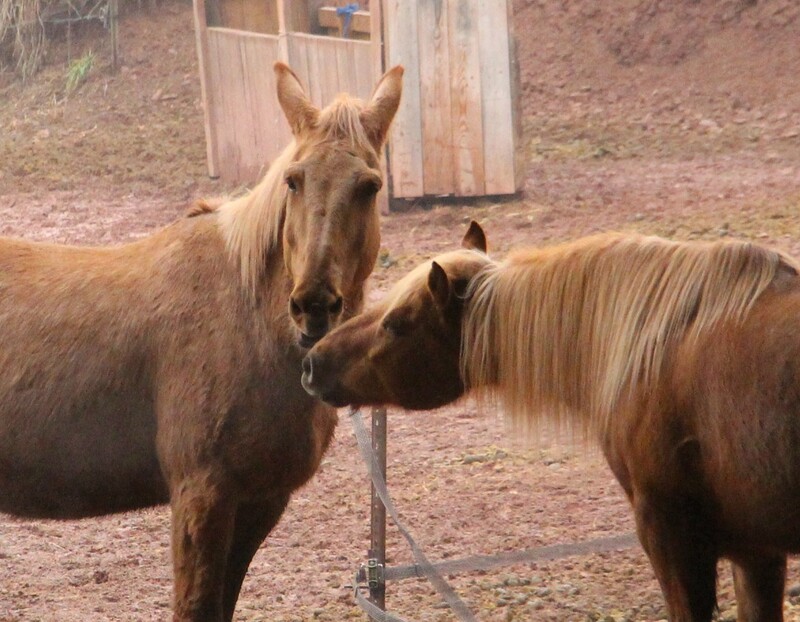 Pictured are photos of horses and a mule playing with each other at Horses & Horizons Therapeutic Learning Center in New Ringgold area recently. 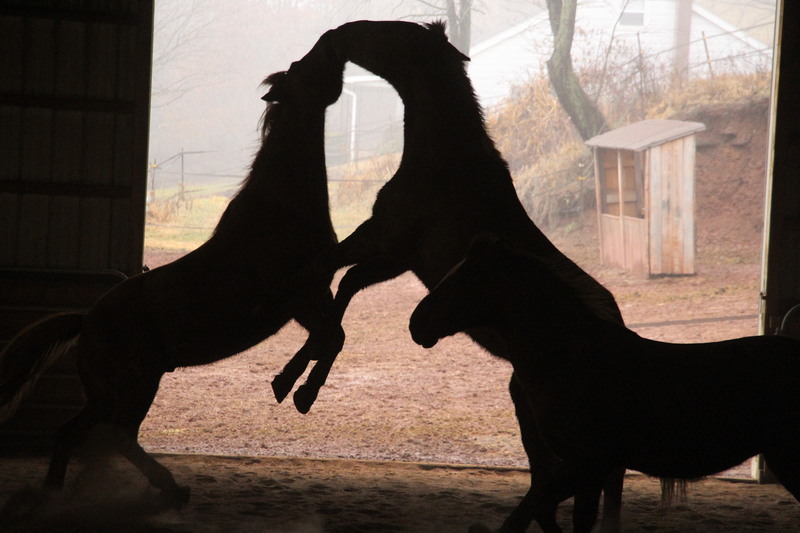 For more information about the center, visit their website at http://www.horsesandhorizons.org/. 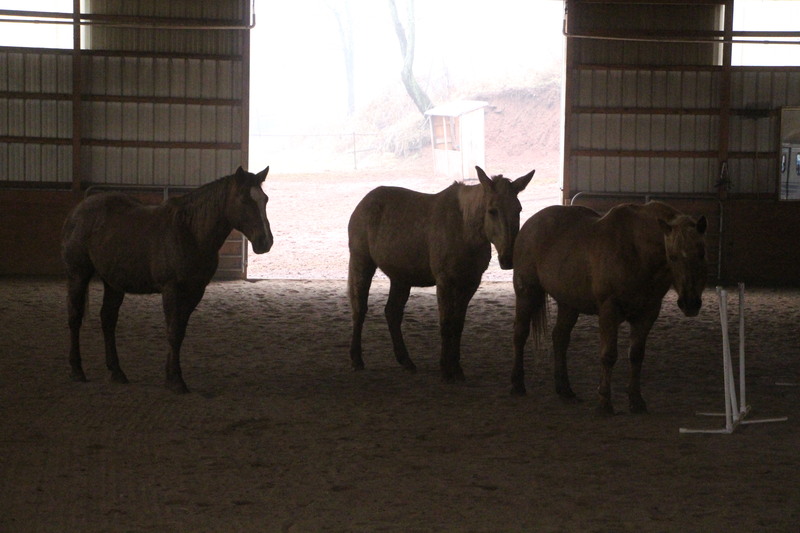 Horses & Horizons Therapeutic Learning Center, Inc. (HHTLC) is a 501(c)(3) registered non-profit organization that was founded in 1993. 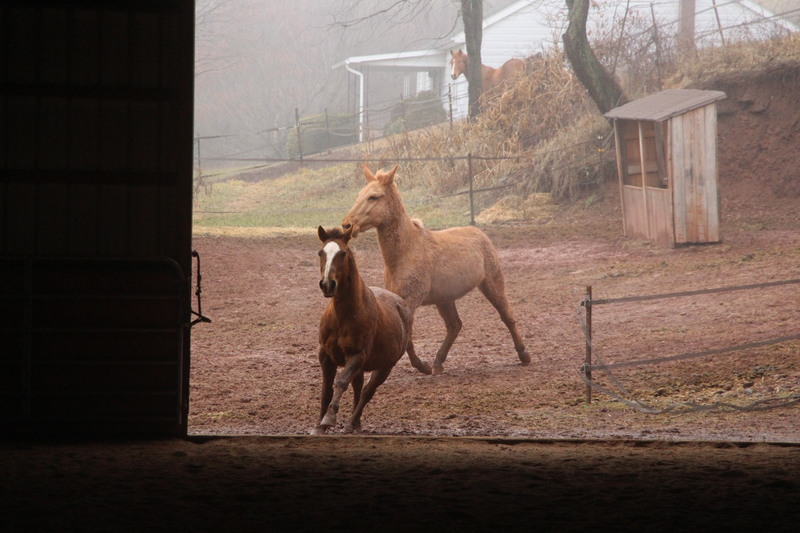 It is located at Helping Horse Farm in a beautiful farming valley between the towns of Tamaqua and New Ringgold in eastern Pennsylvania. 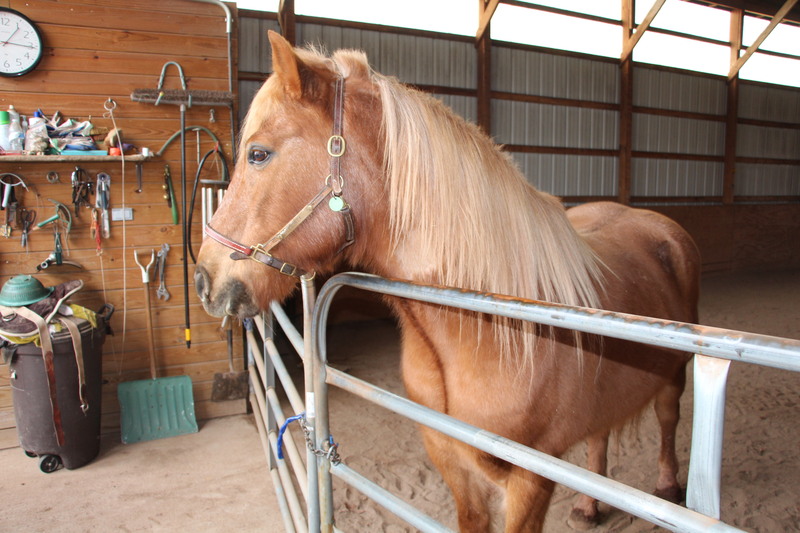 It offers a special program of therapeutic horseback riding for individuals with a variety of physical, mental, and emotional disabilities. 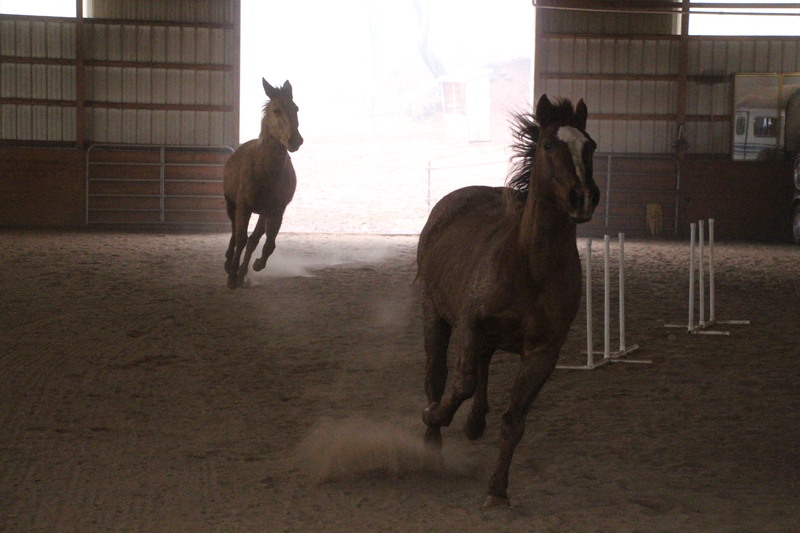 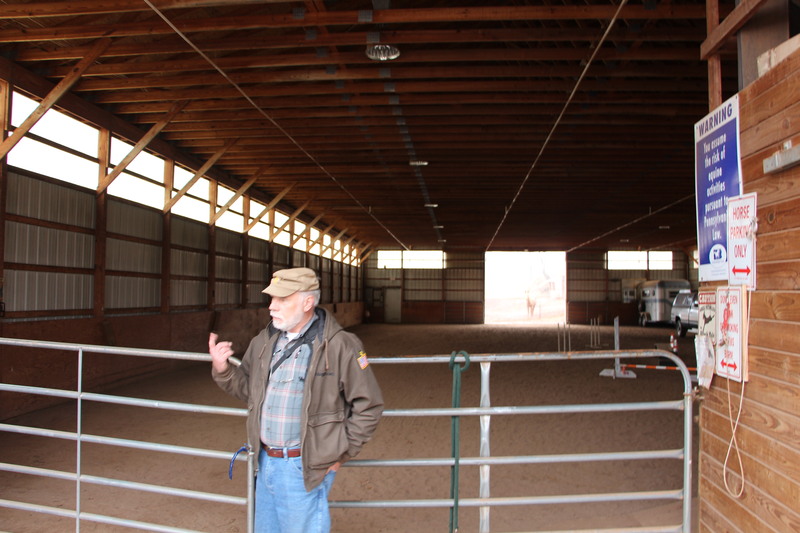 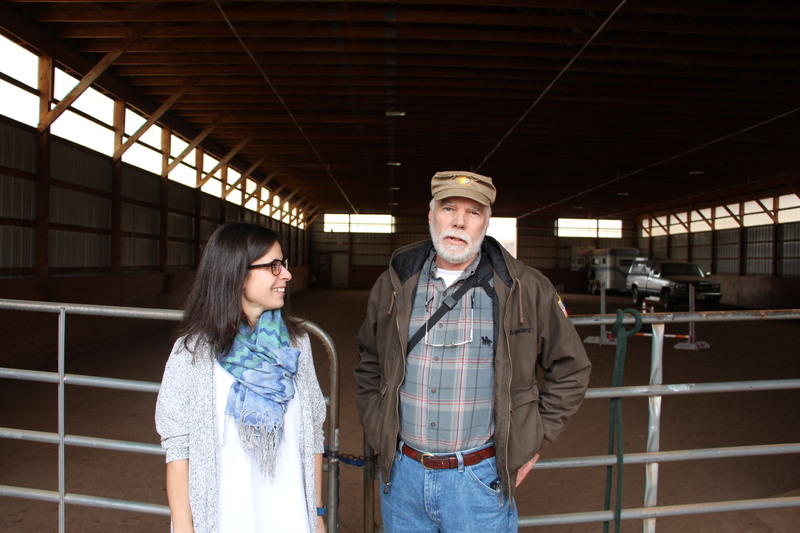 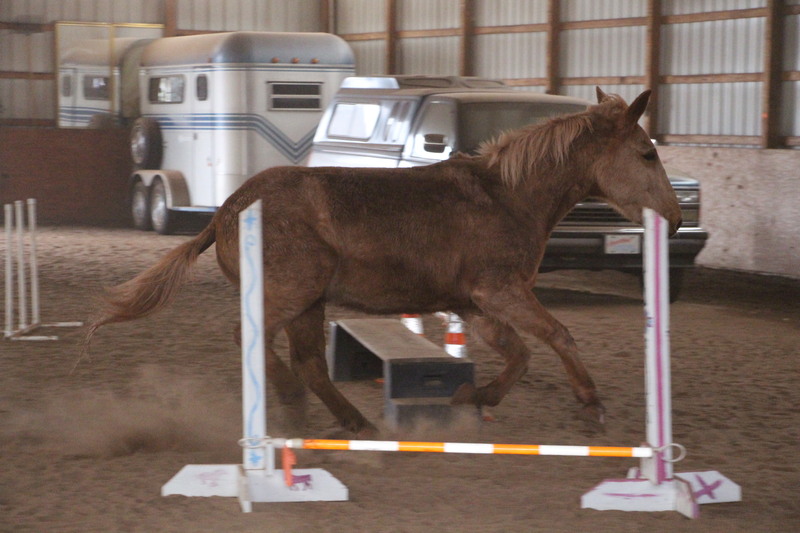 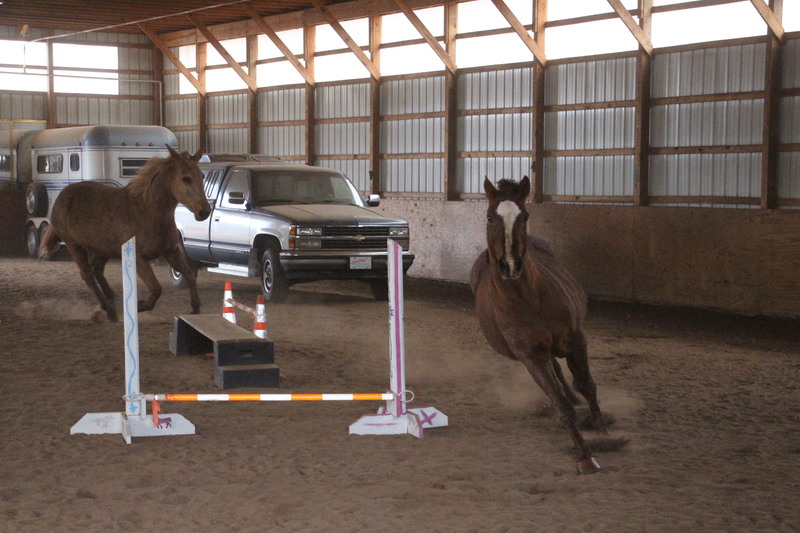 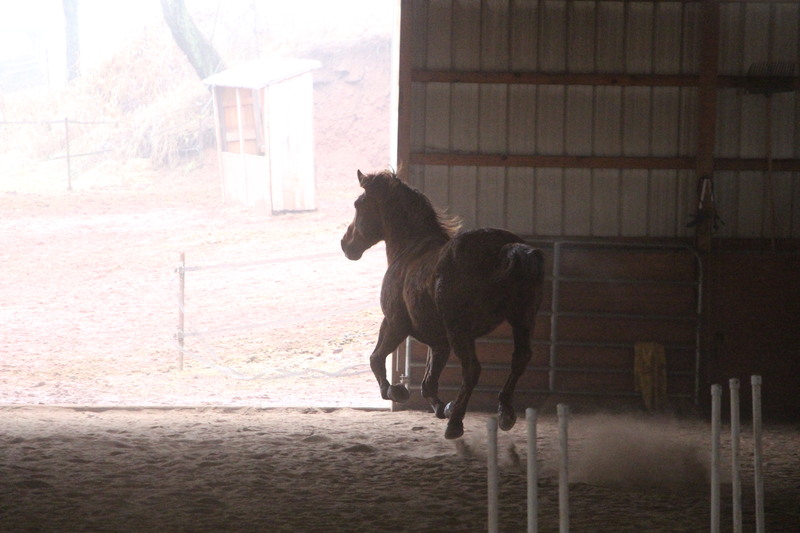 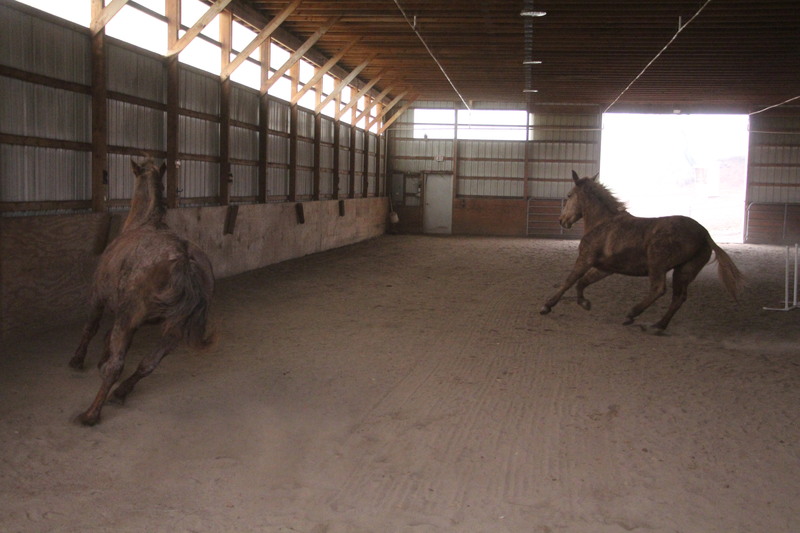 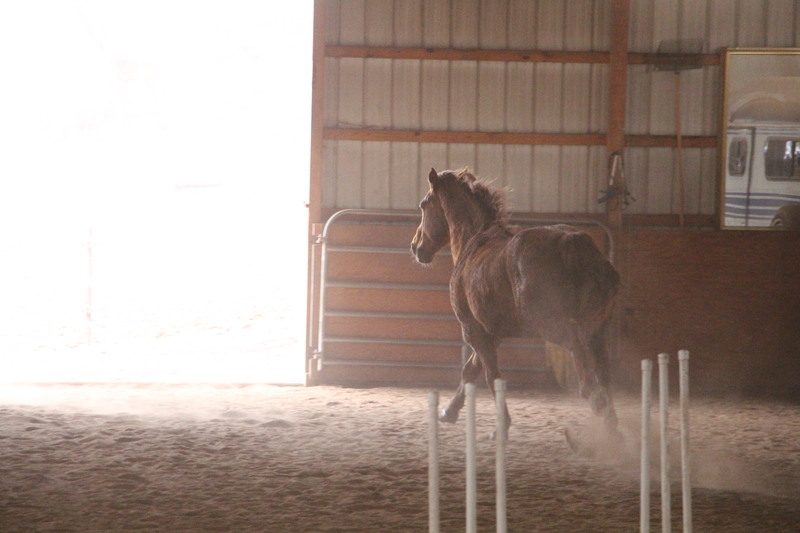 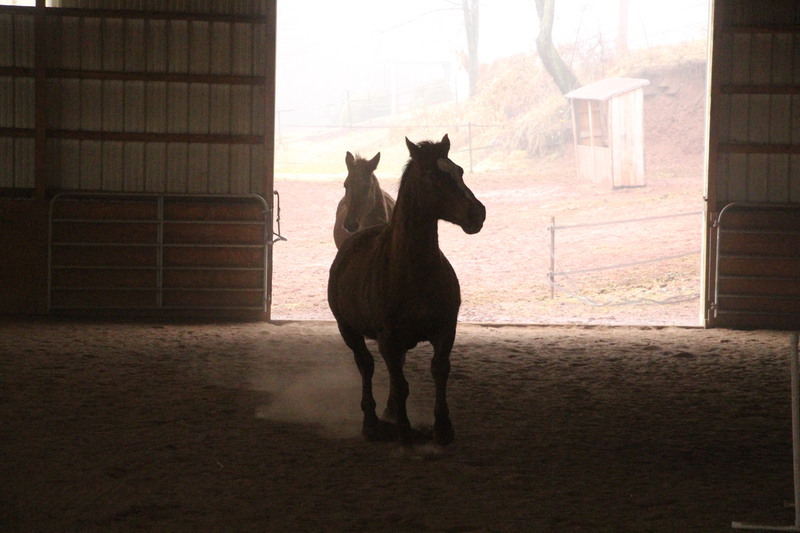 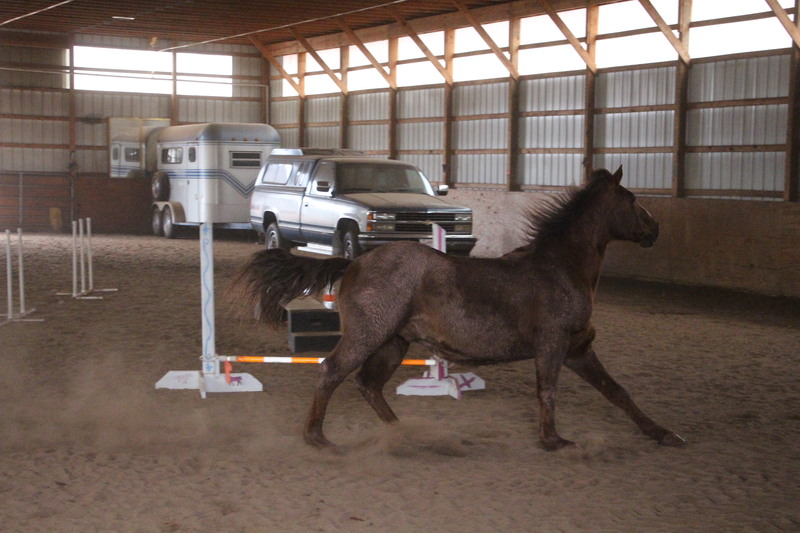 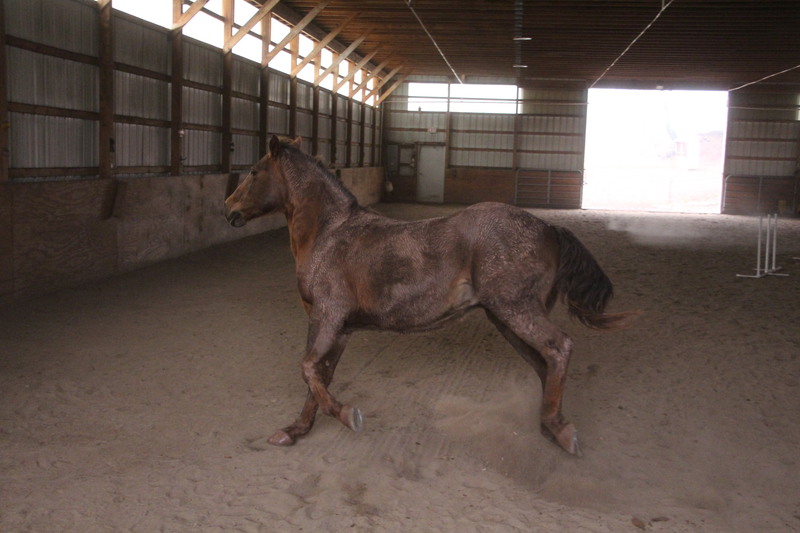 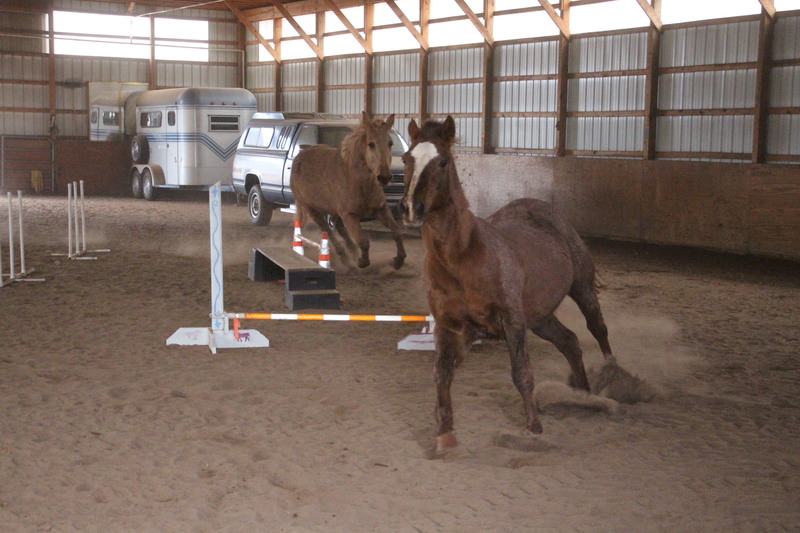 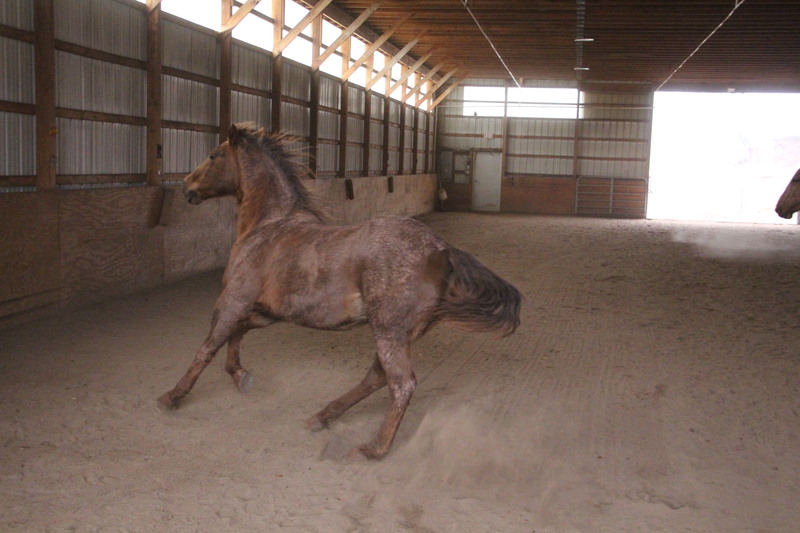 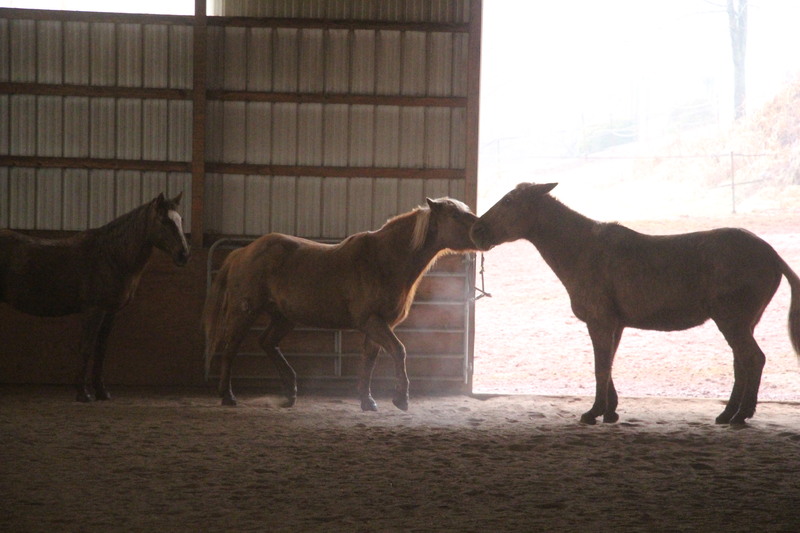 The farm’s owners, Harvey and Elaine Smith, facilitate the riding program, teach the lessons, and care for the horses. 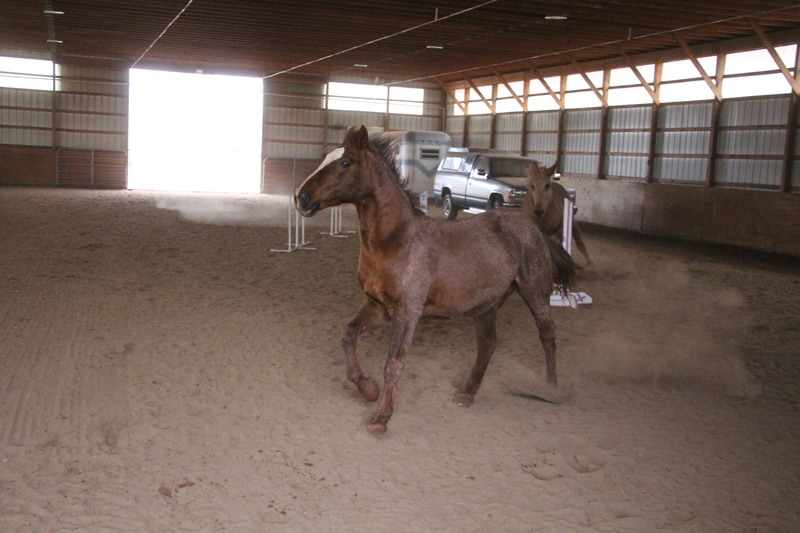 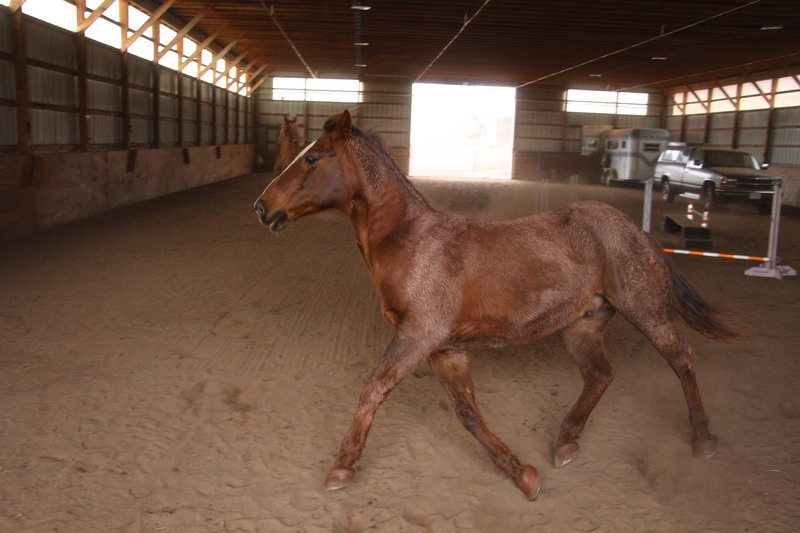 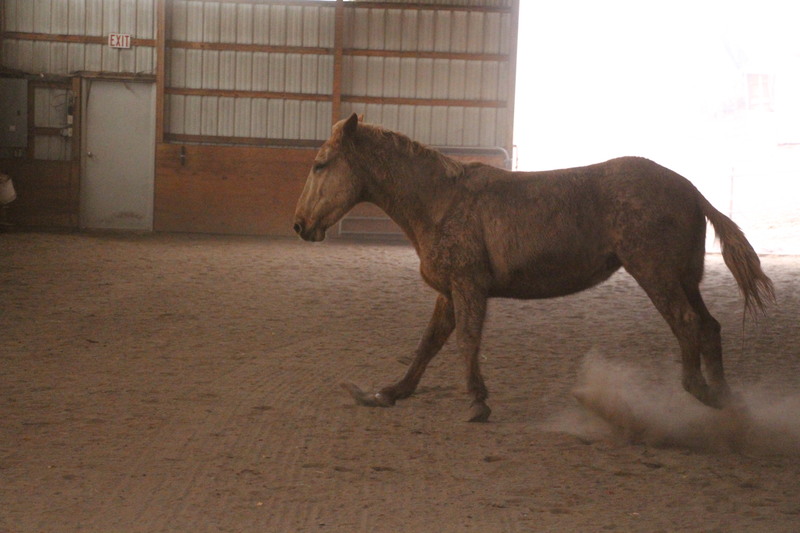 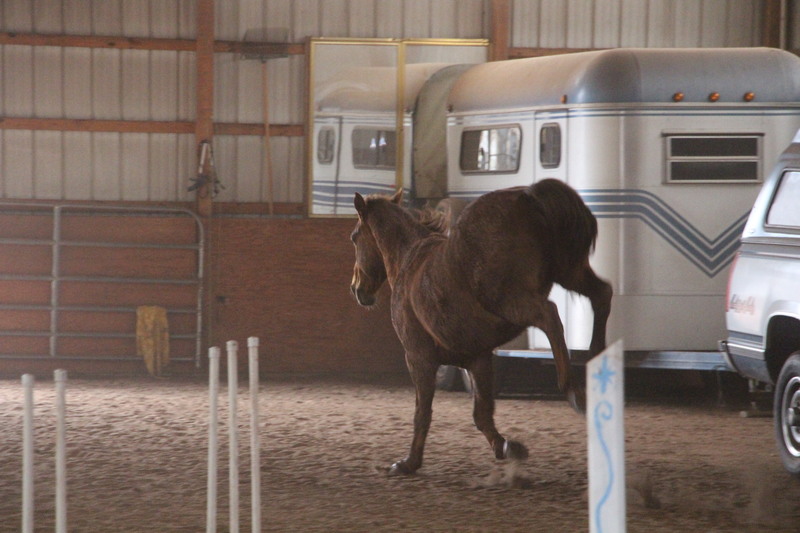 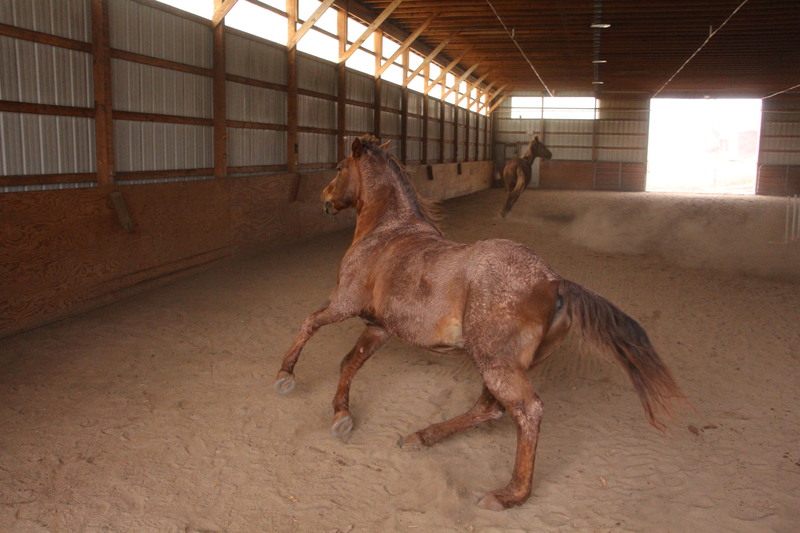 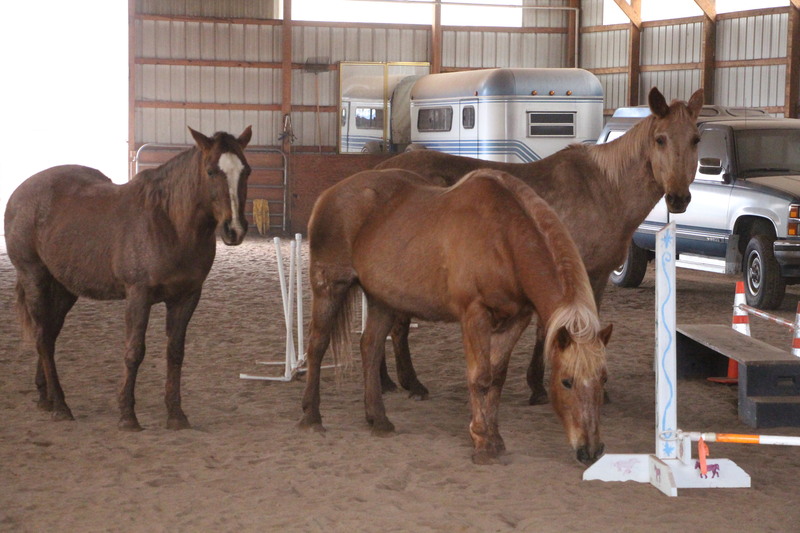 They have been involved in therapeutic riding since 1985. 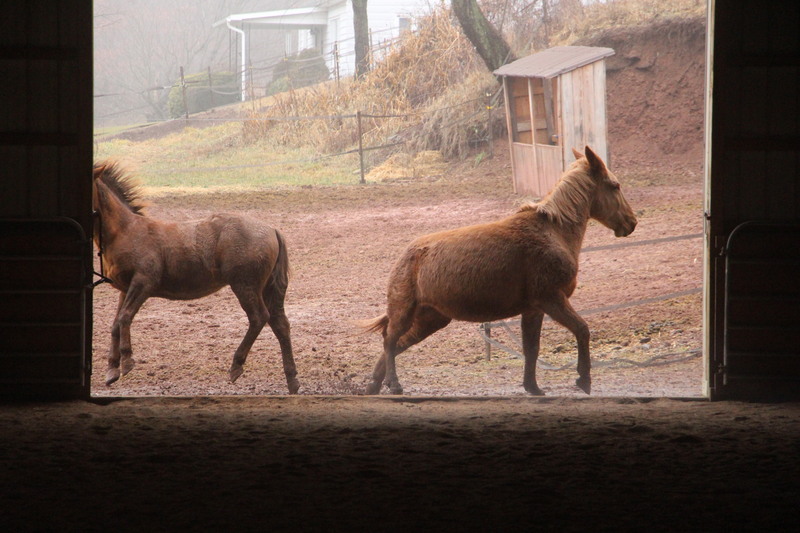 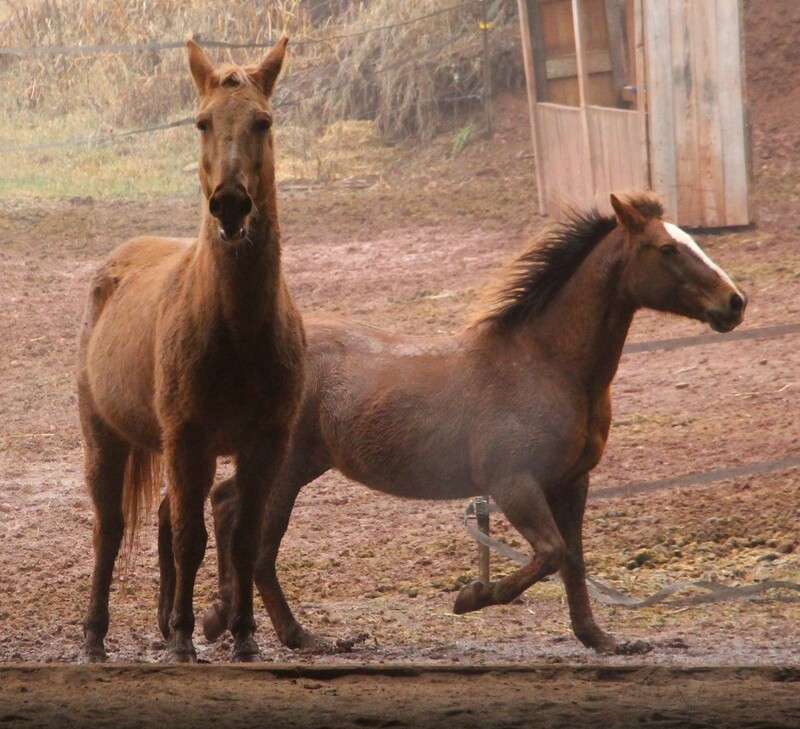 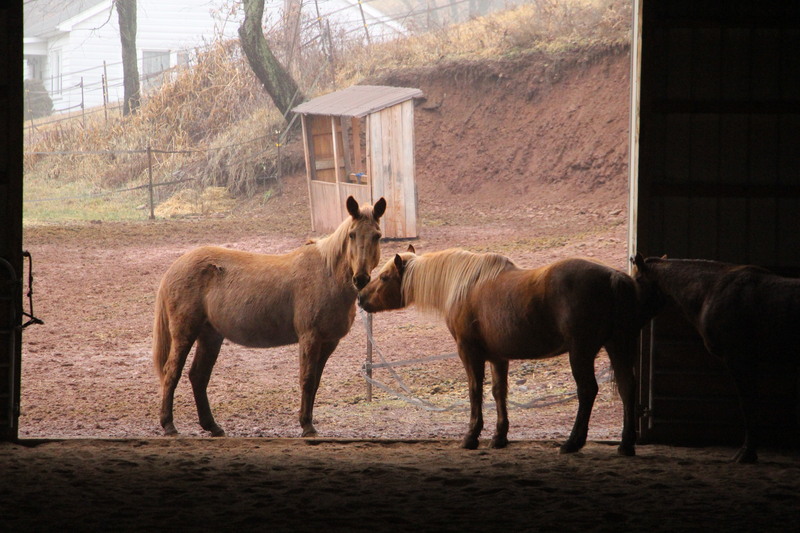 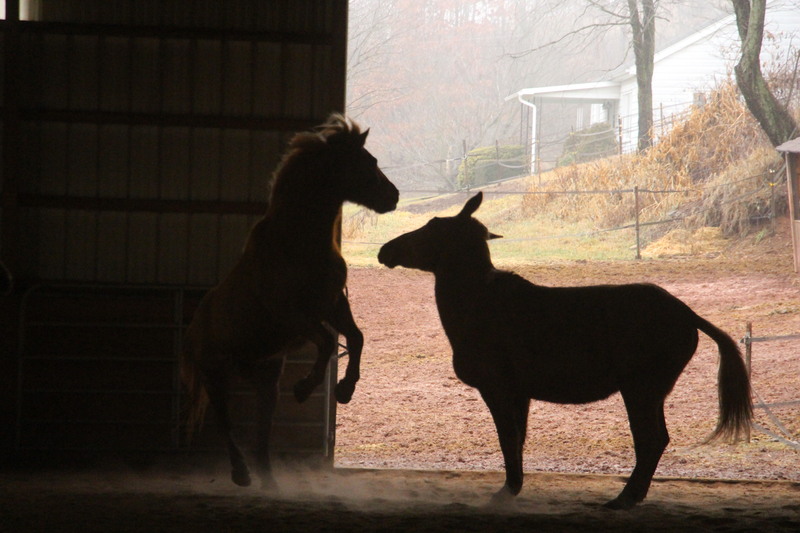 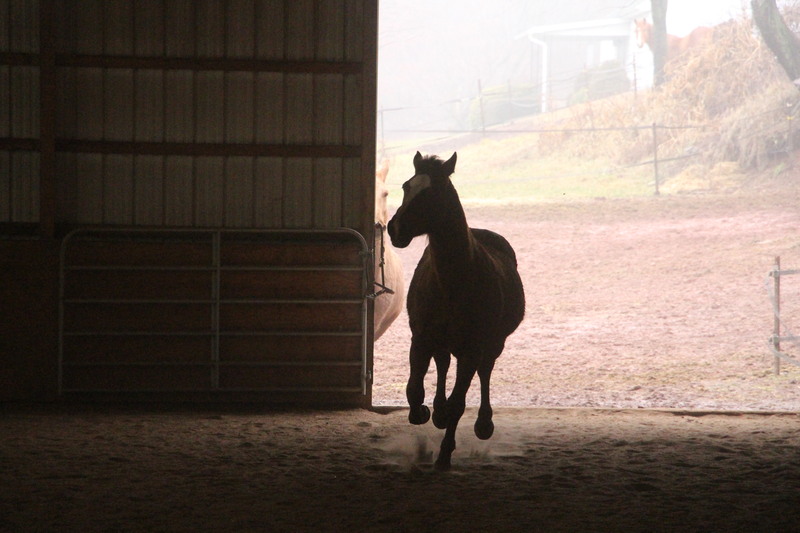 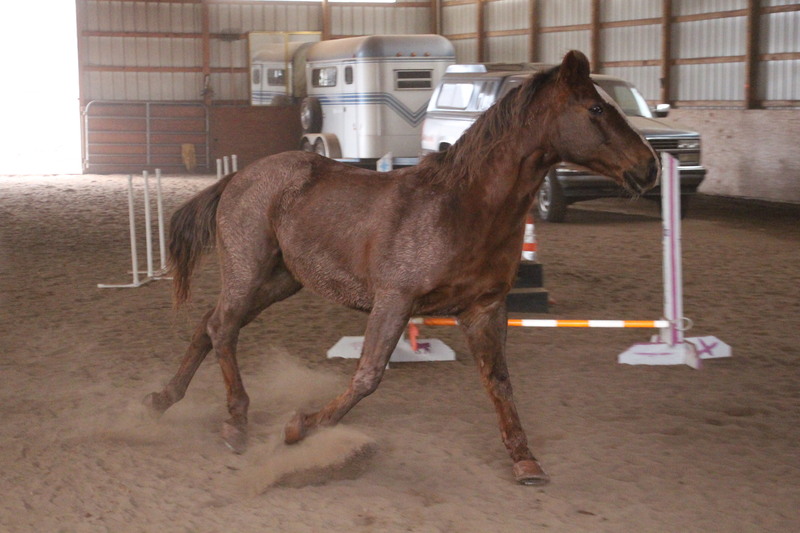 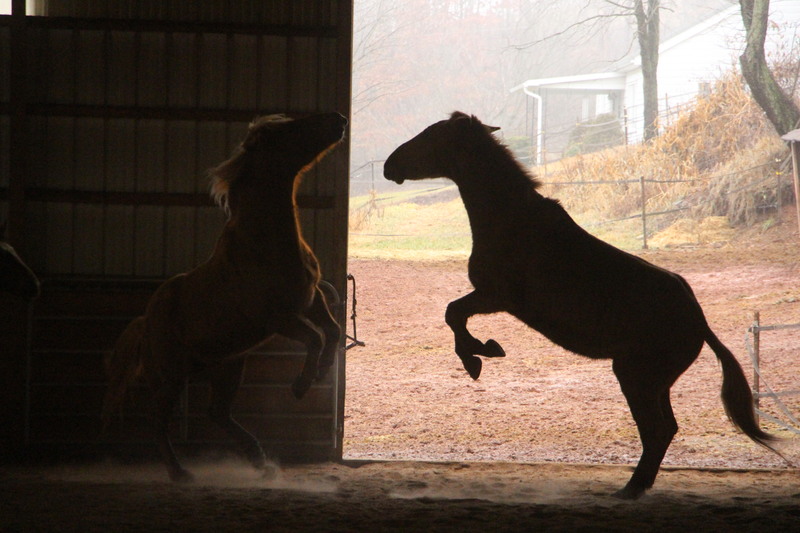 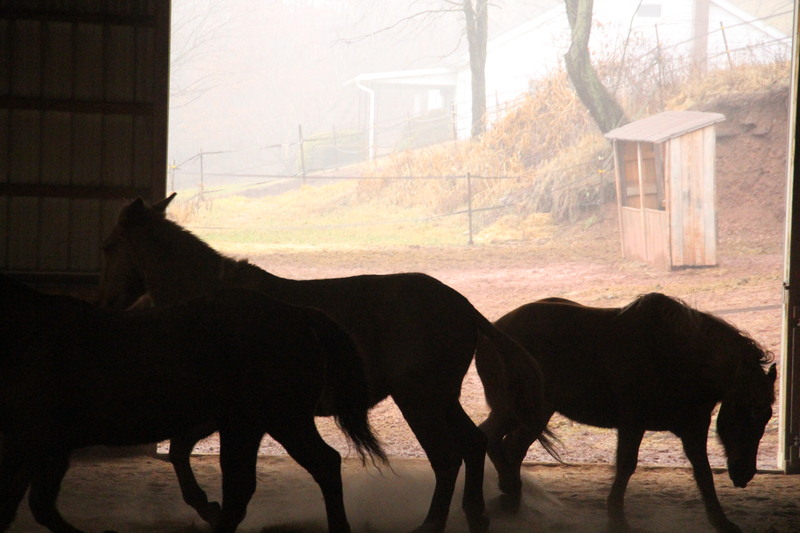 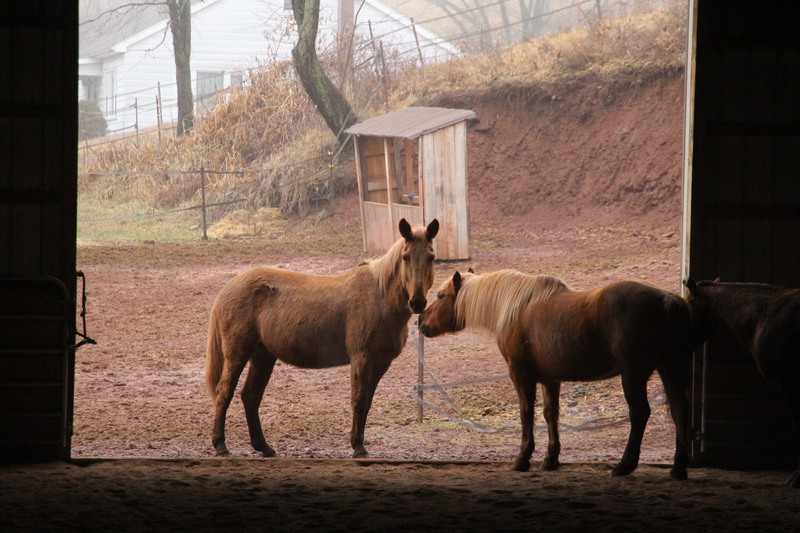 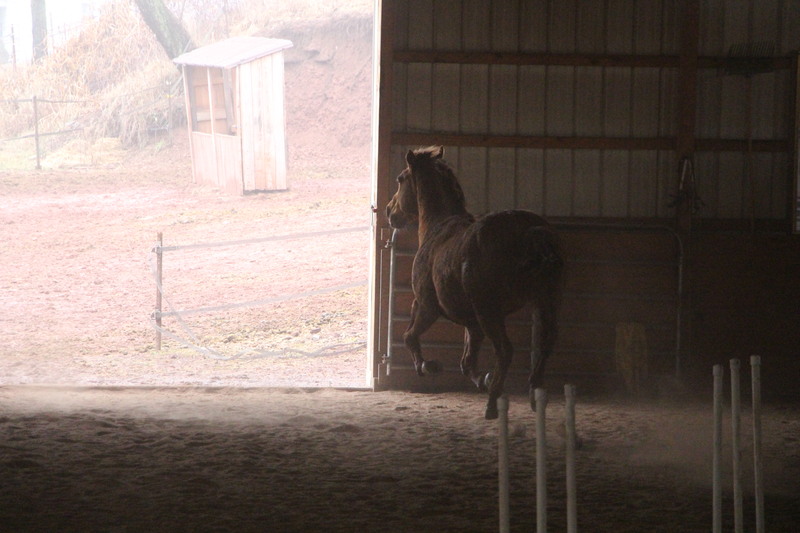 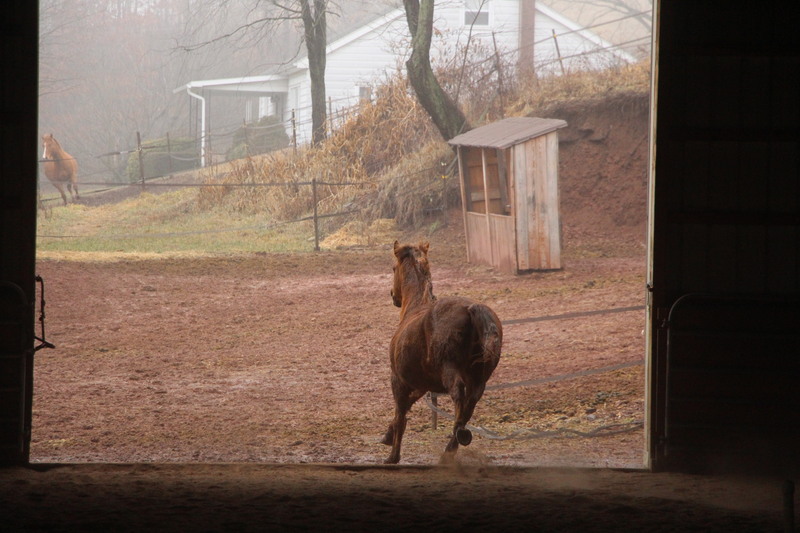 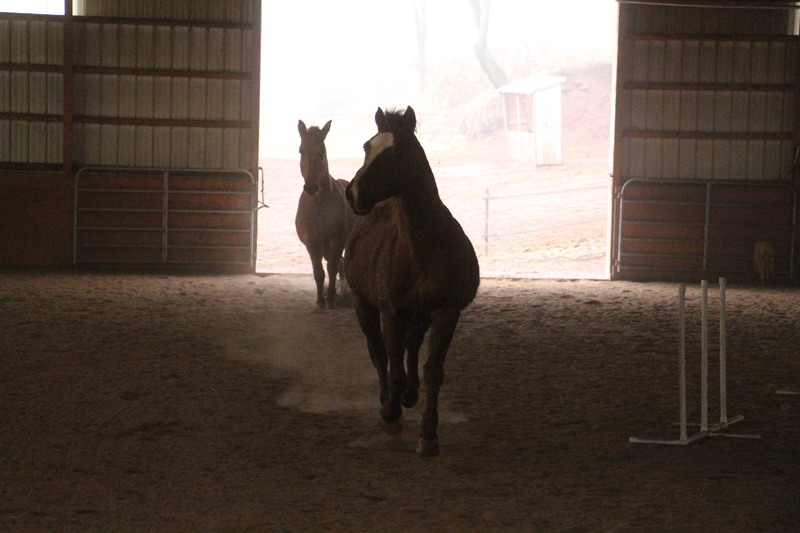 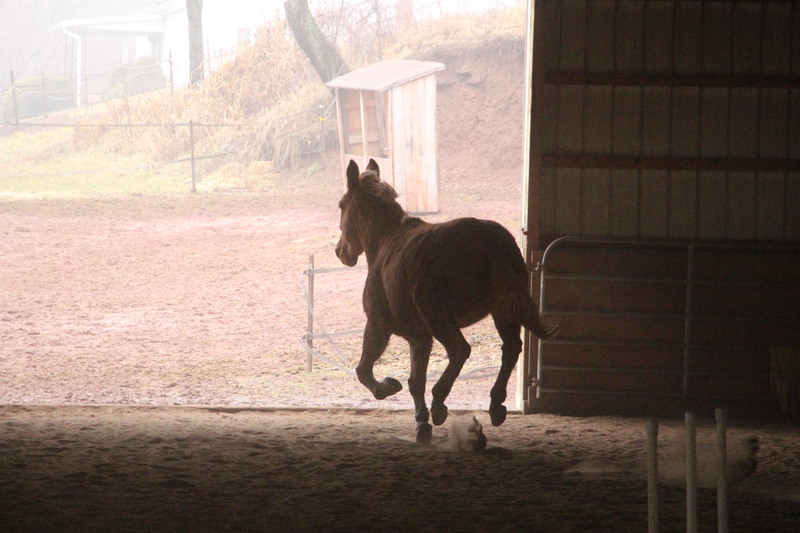 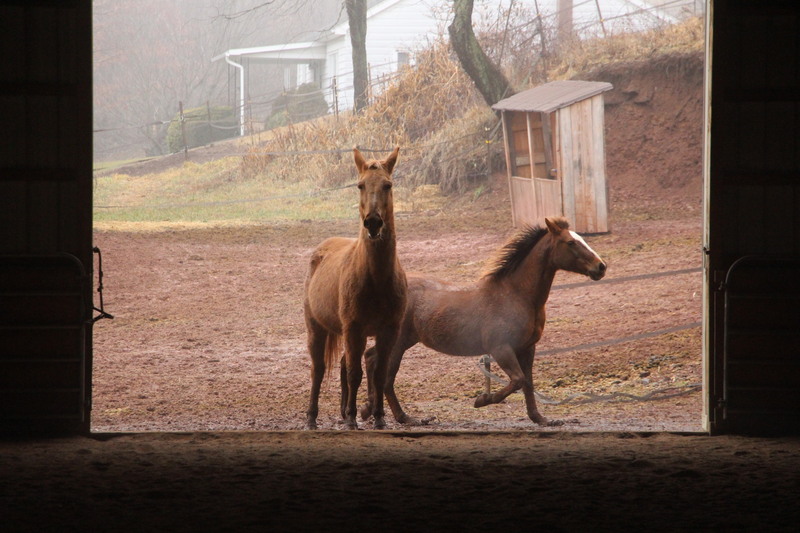 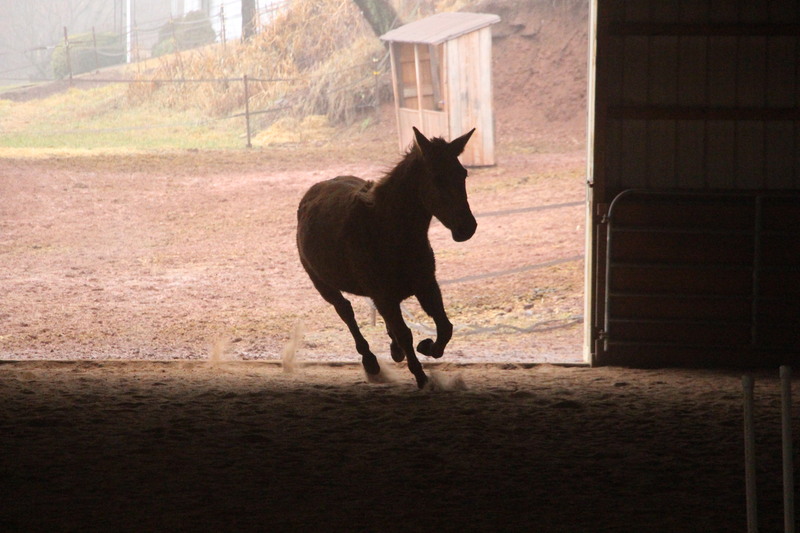 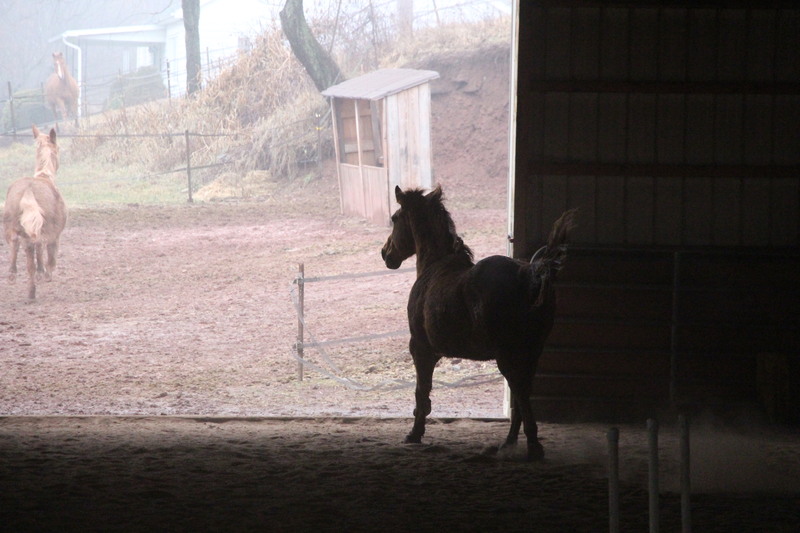 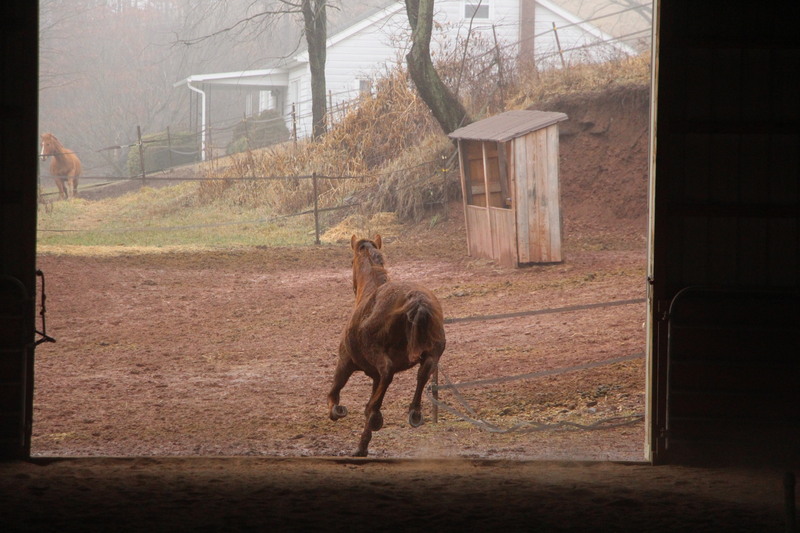 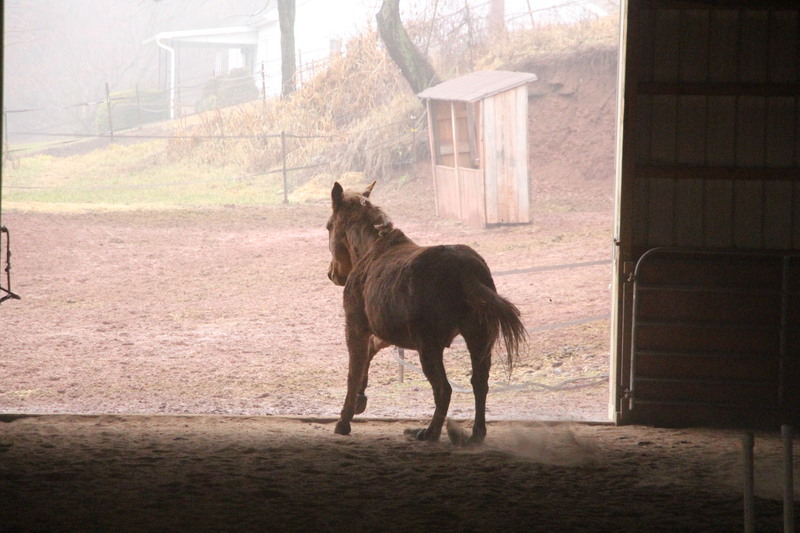 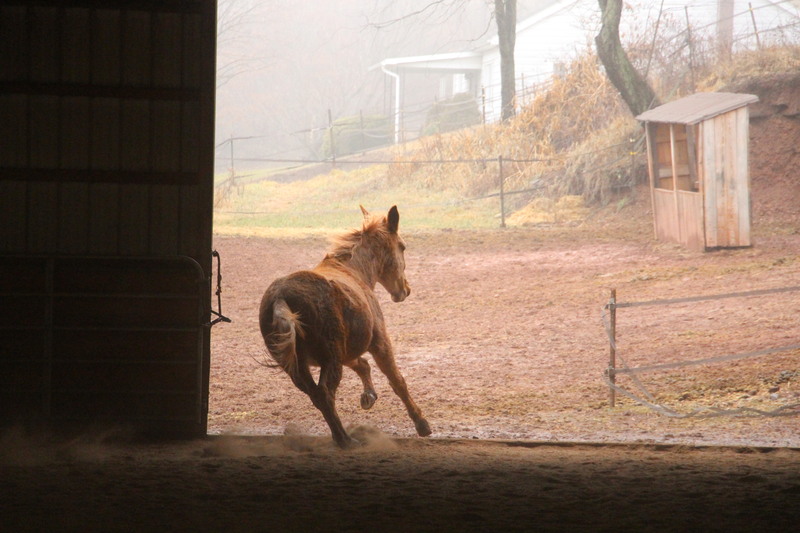 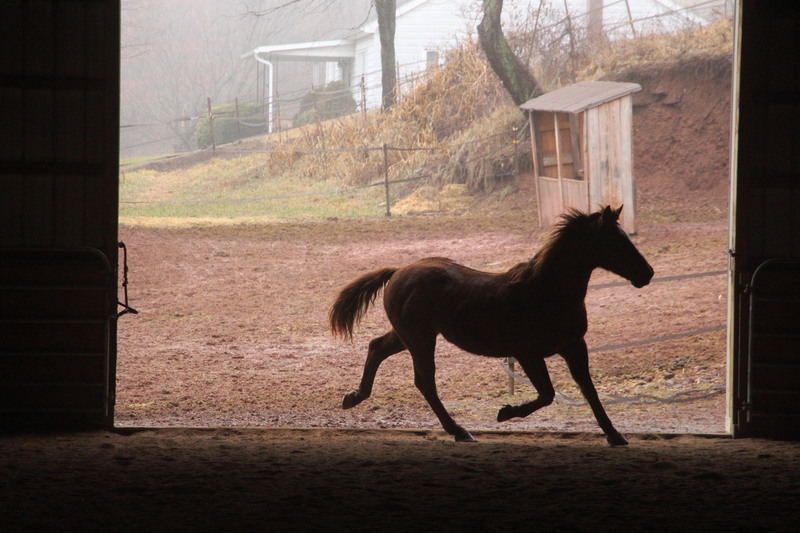 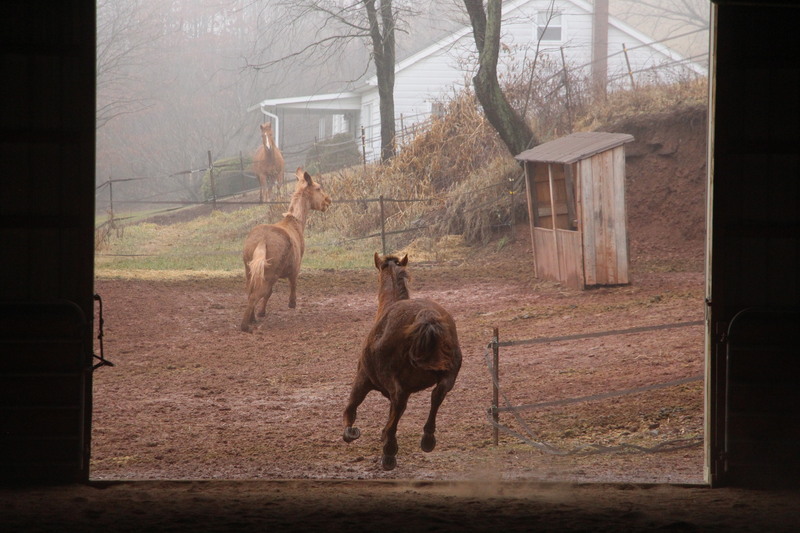 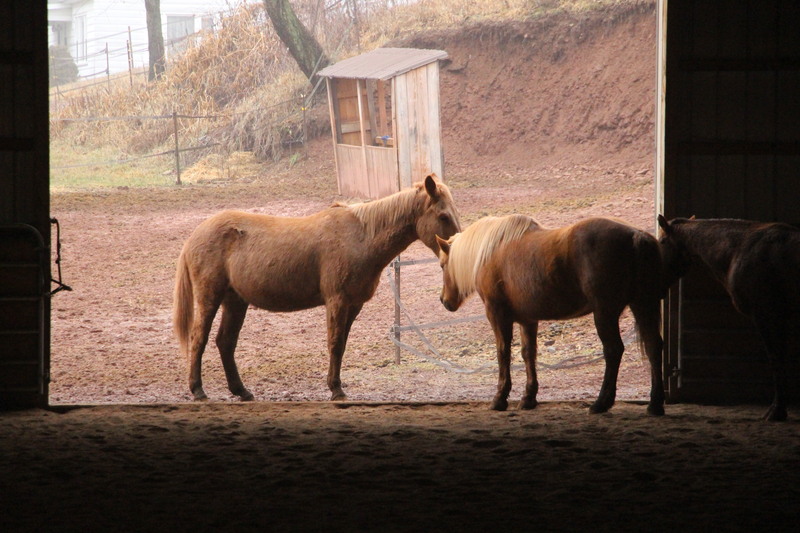 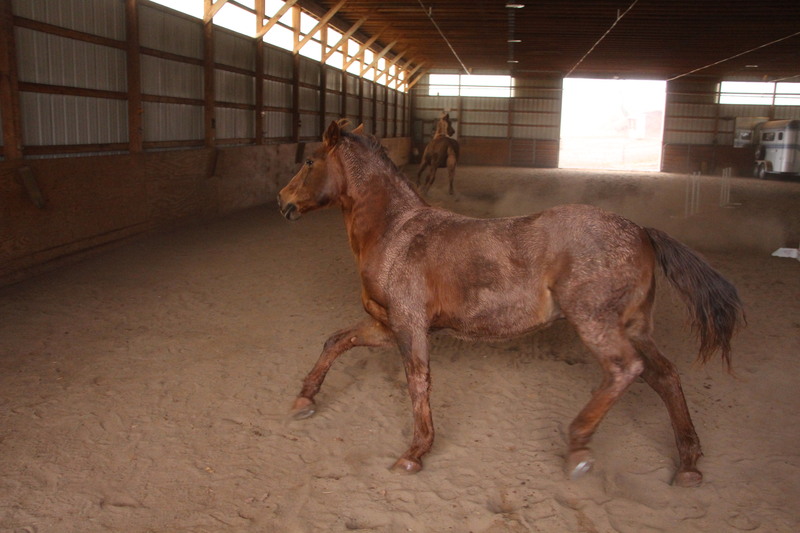 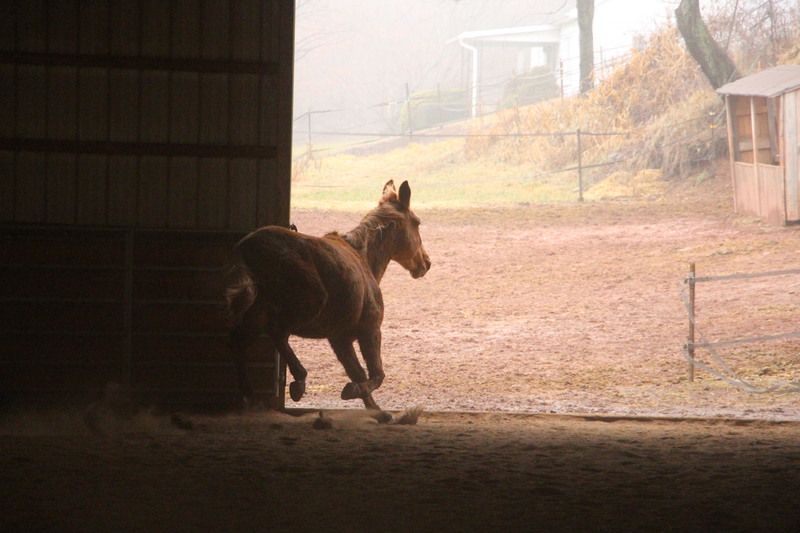 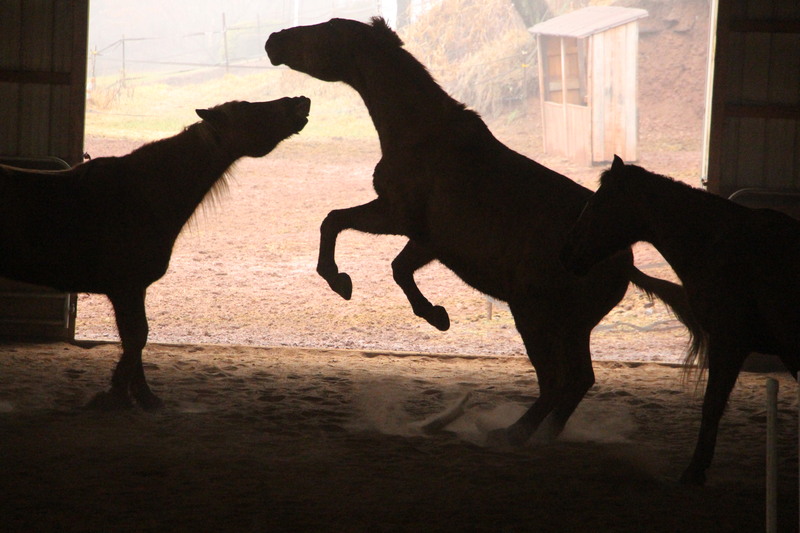 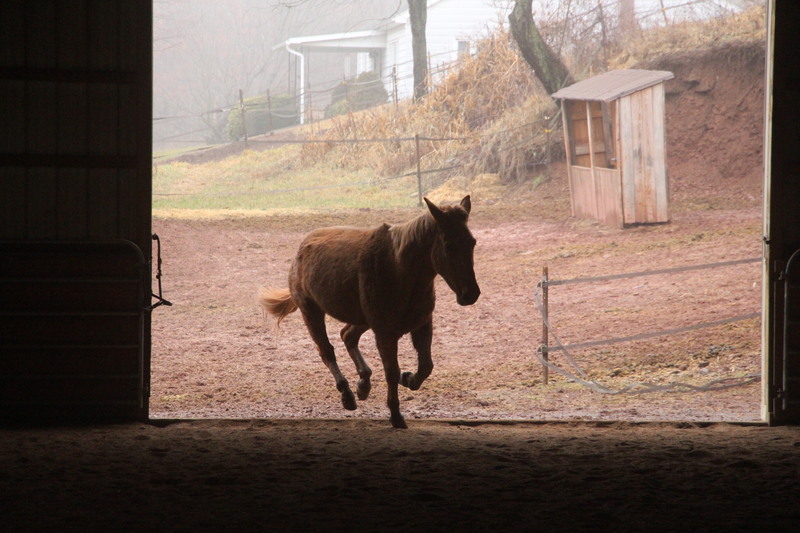 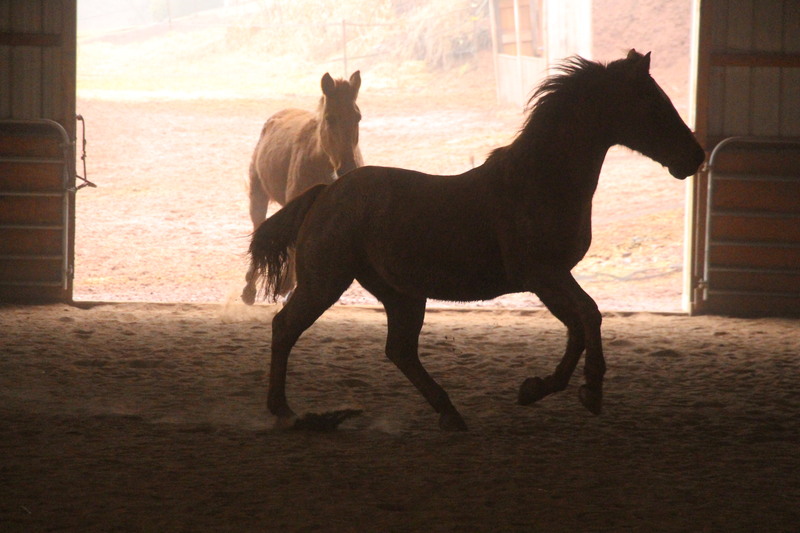 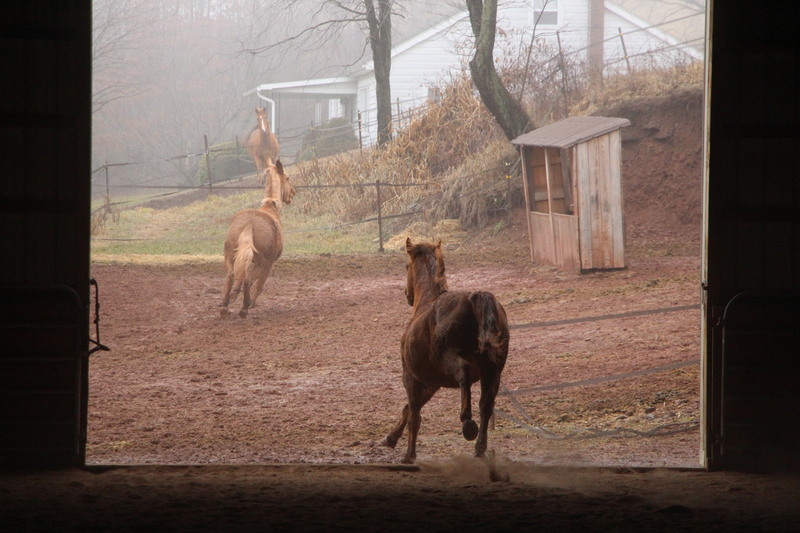 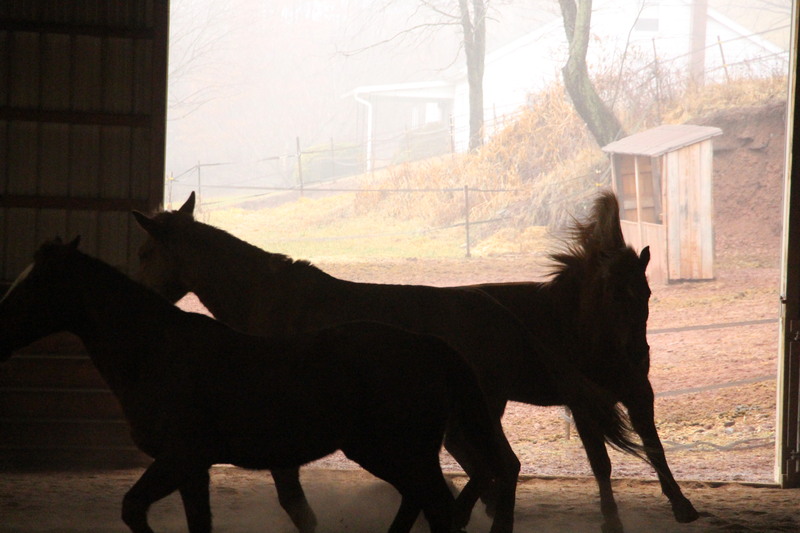 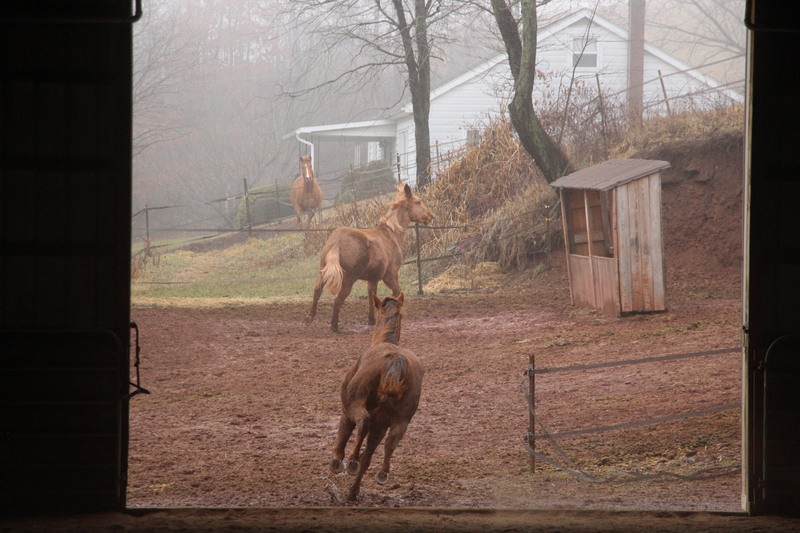 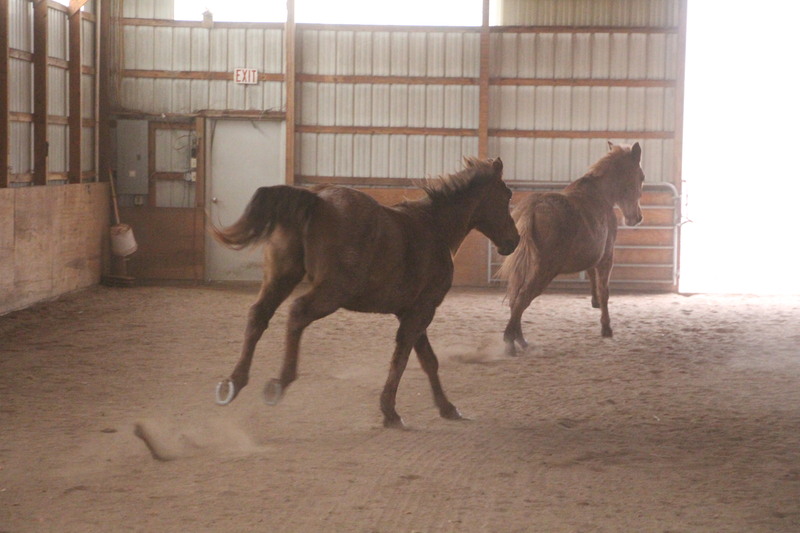 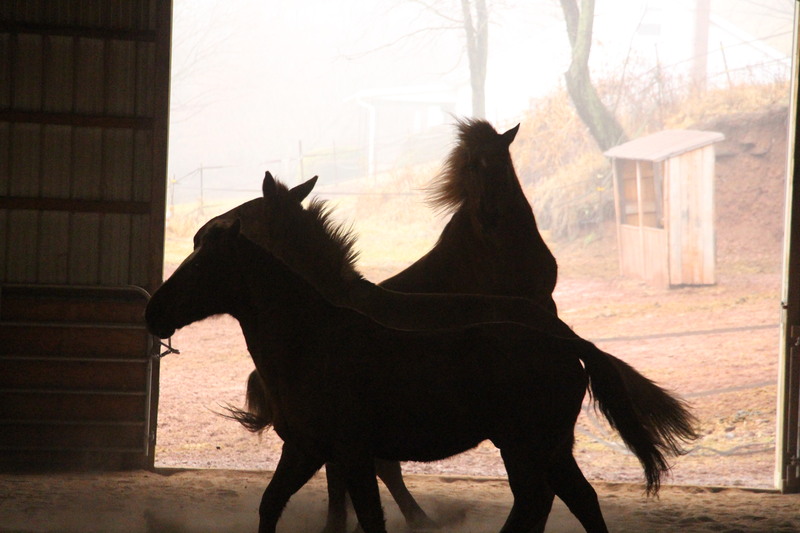 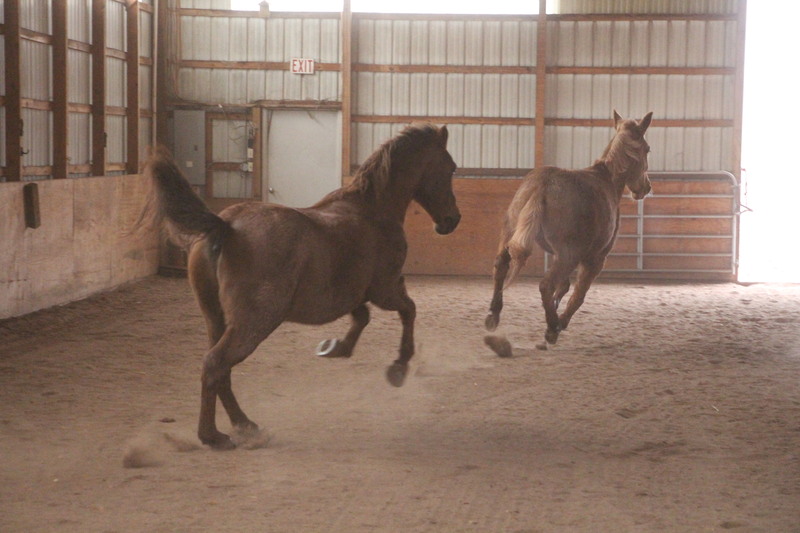 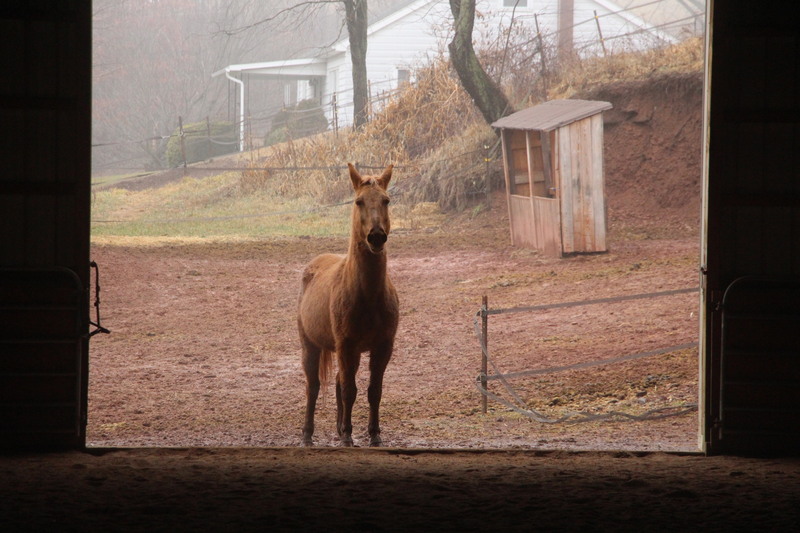 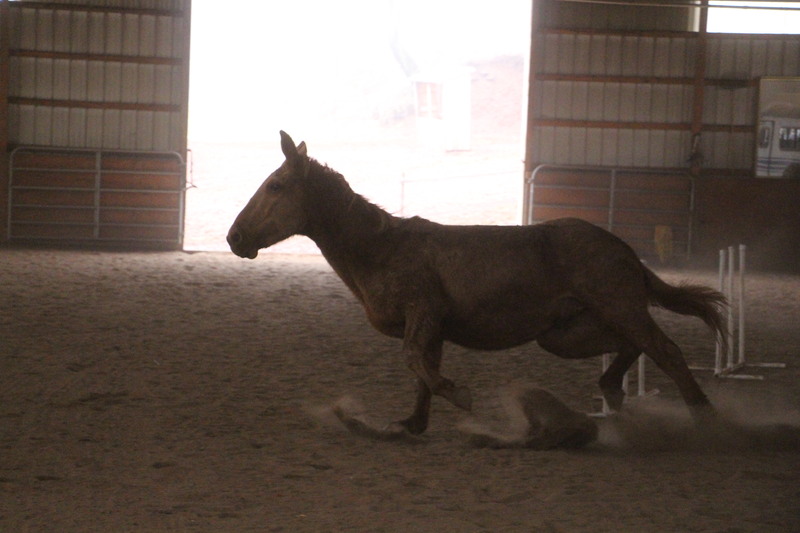 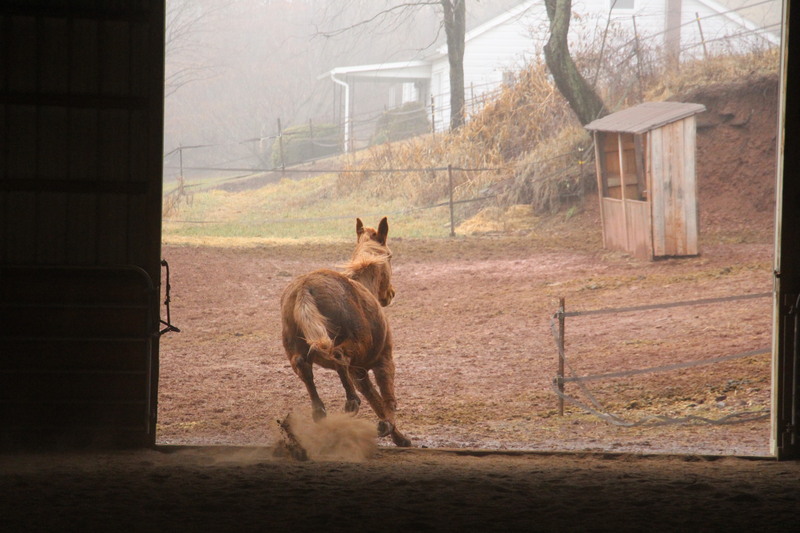 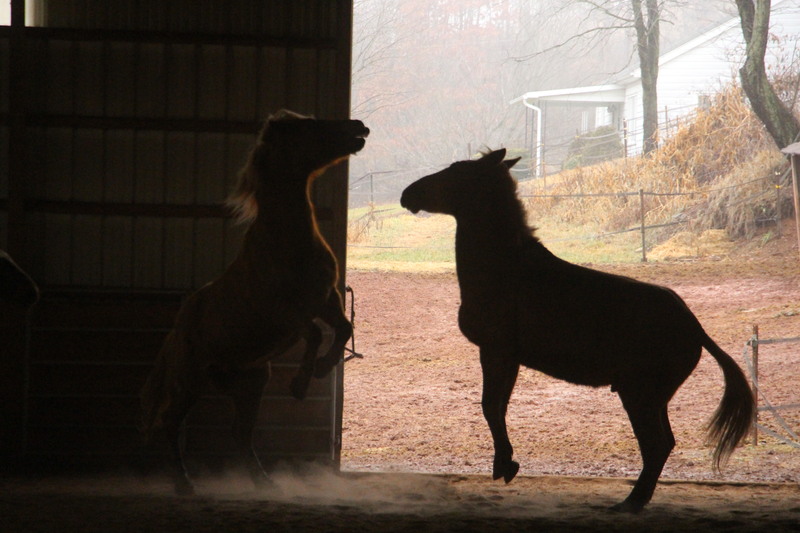 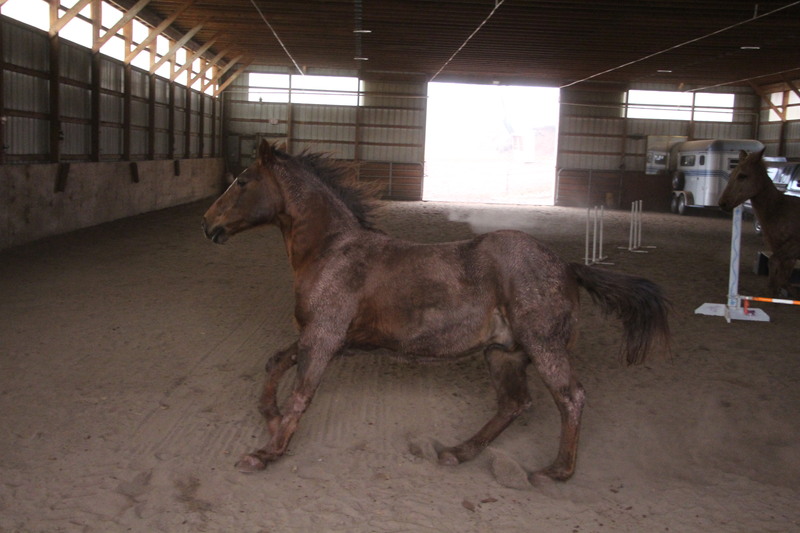 For several years prior to founding HHTLC, they operated the eastern branch of the Schuylkill County Therapeutic Riding Program. 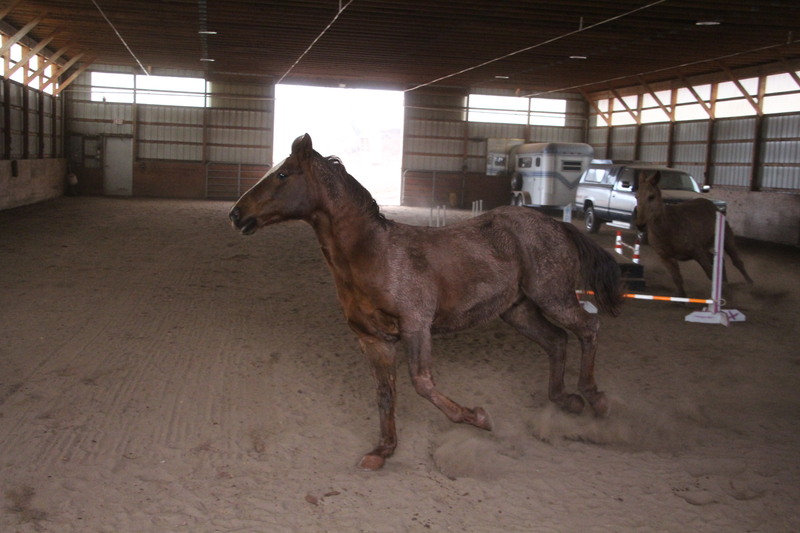 Harvey is a licensed occupational therapist. 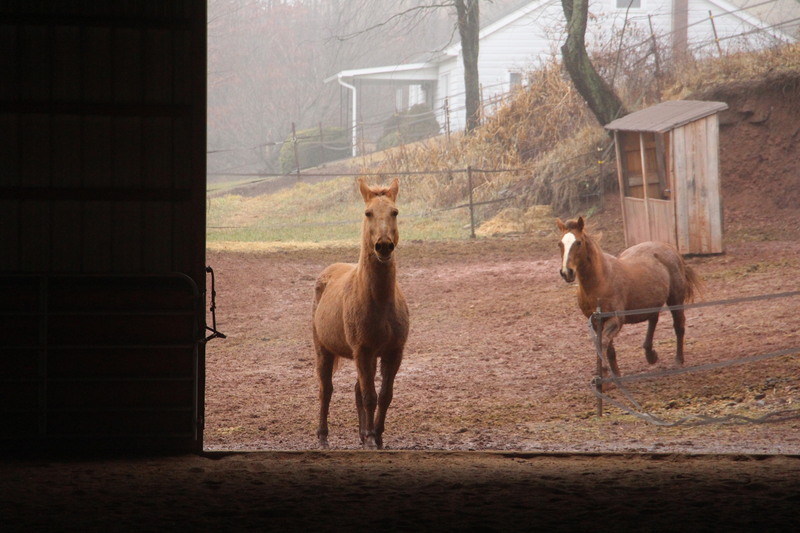 Helping Horse Farm is a private residence. 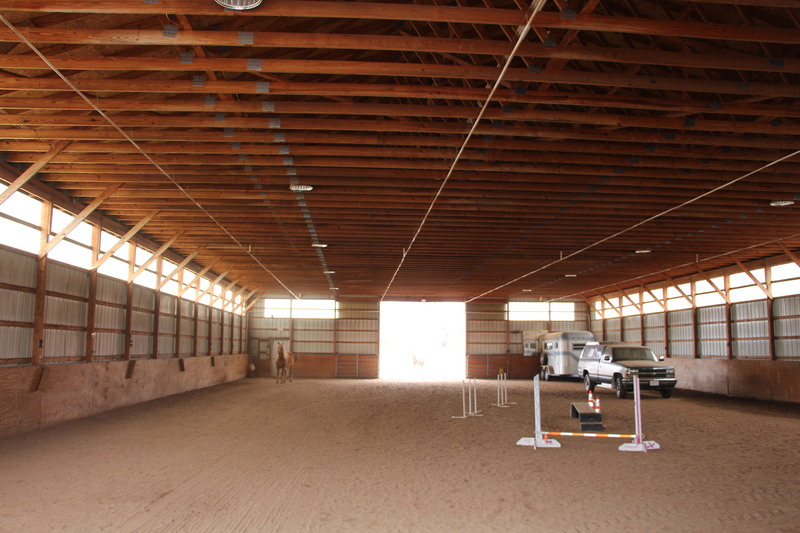 It is open to the public during lessons, training sessions, special events, and by appointment. 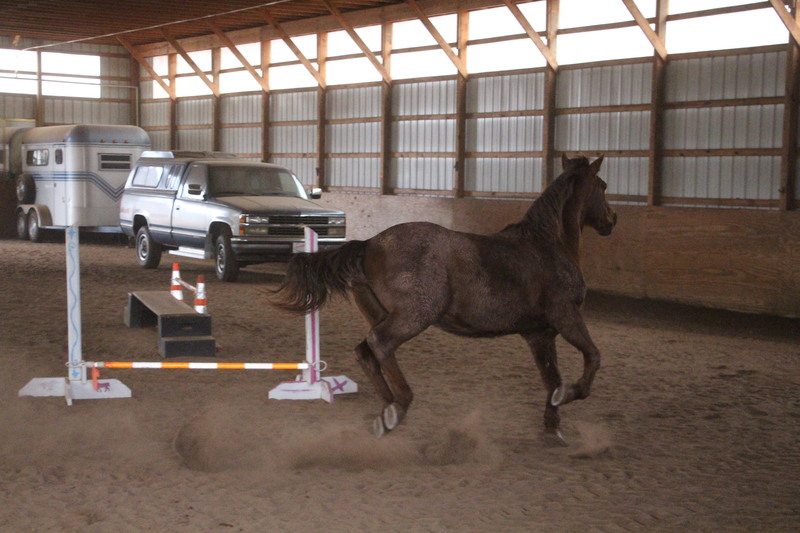 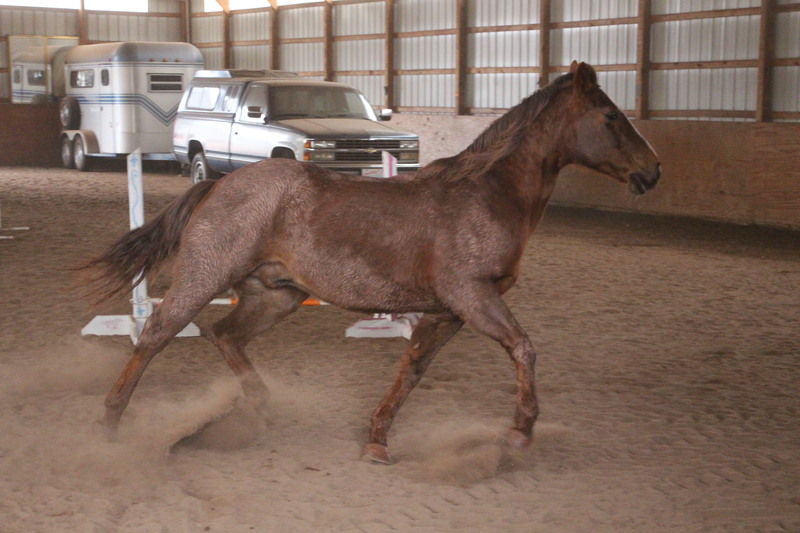 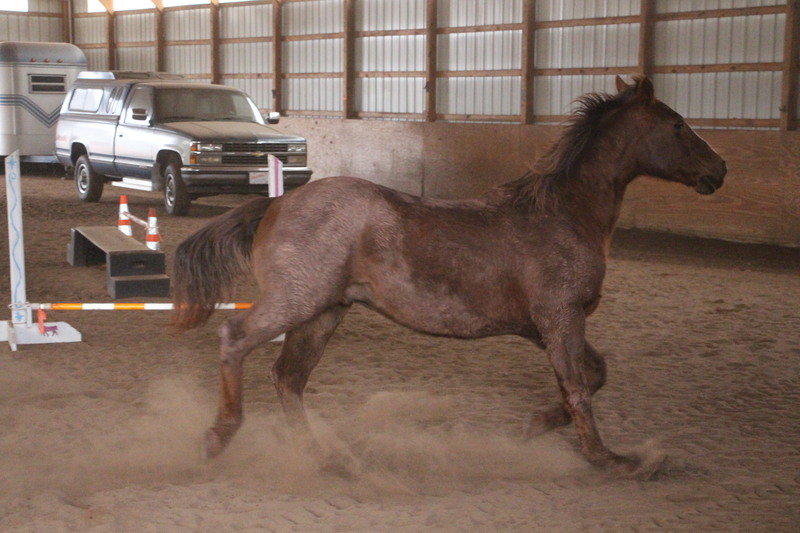 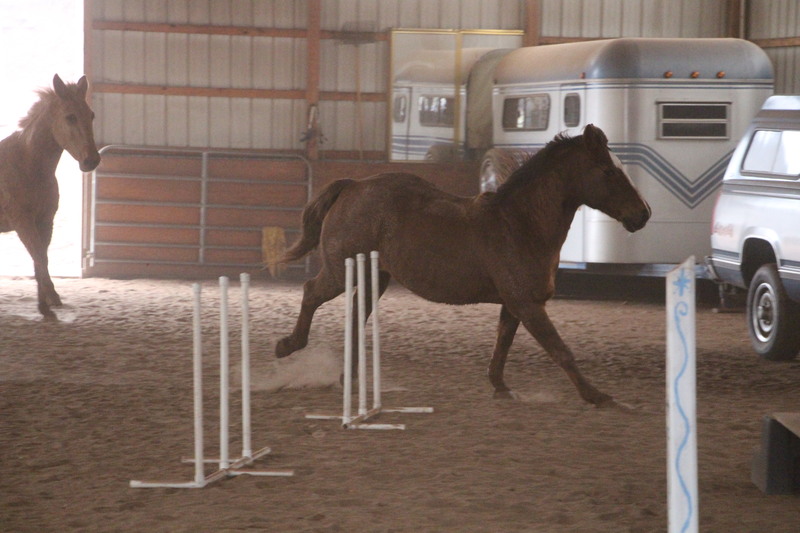 Therapeutic riding at HHTLC is a unique combination of recreation, therapy, and learning that uses the horse to obtain results that sometimes cannot be obtained in a normal clinic setting. 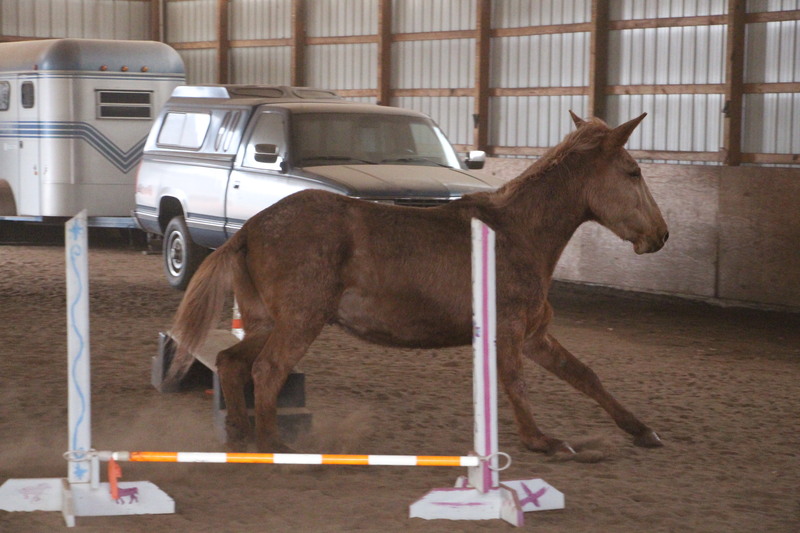 Professional instructors, certified by state and national organizations, conduct weekly lessons. 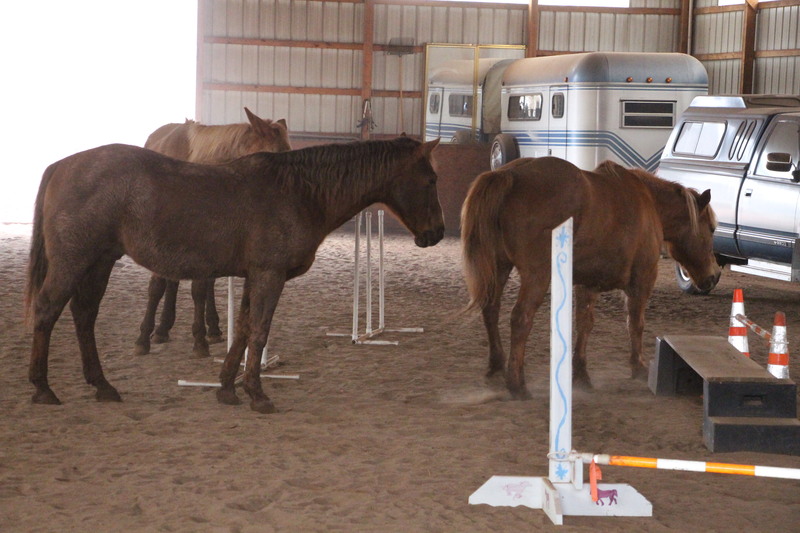 Occupational and physical therapists volunteer their time to assist with the riders’ needs. 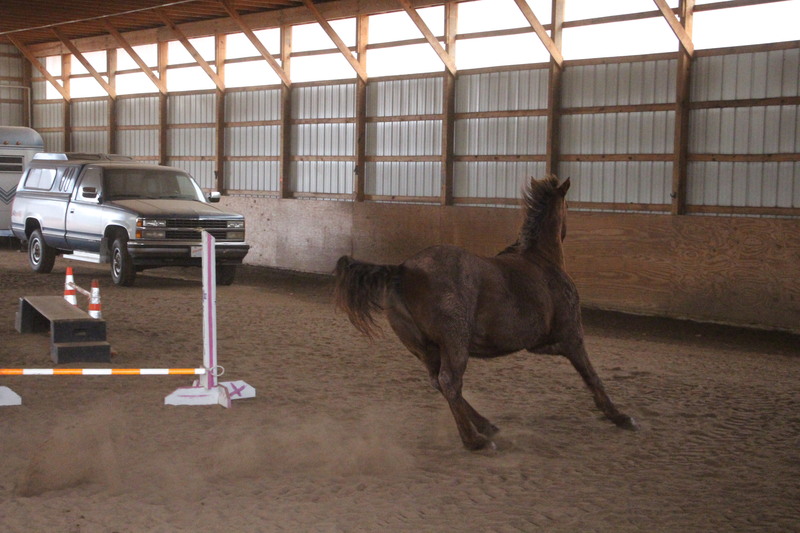 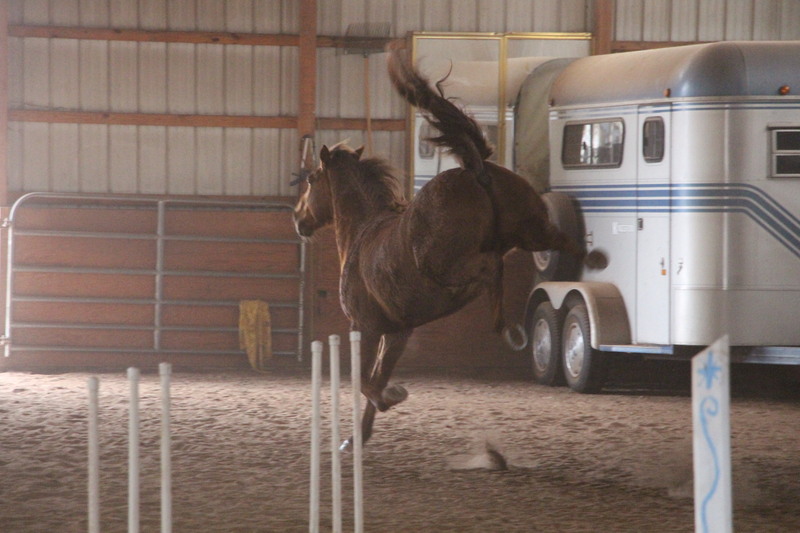 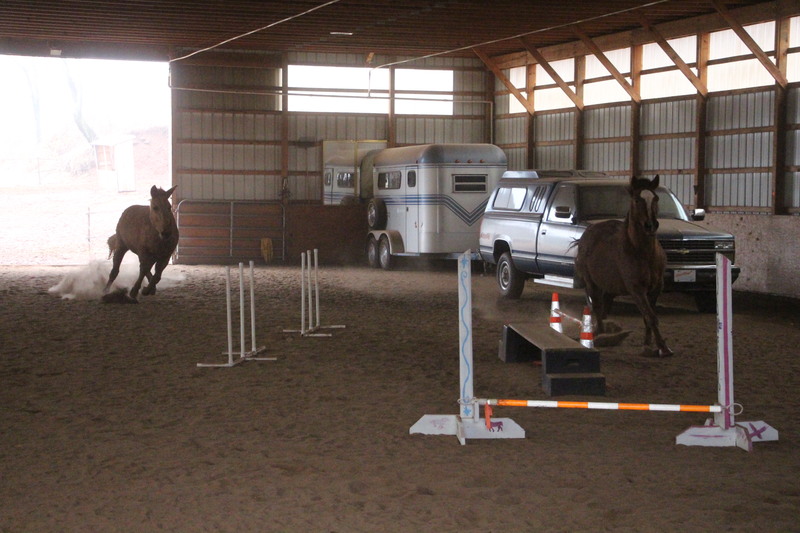 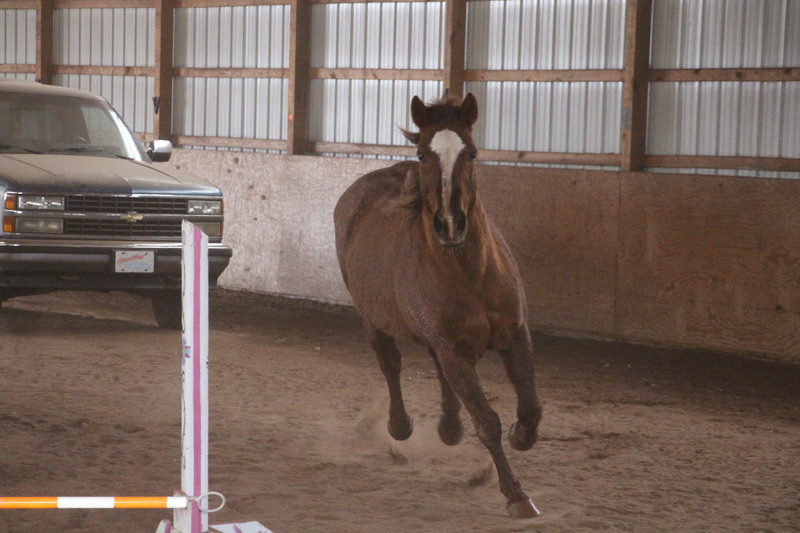 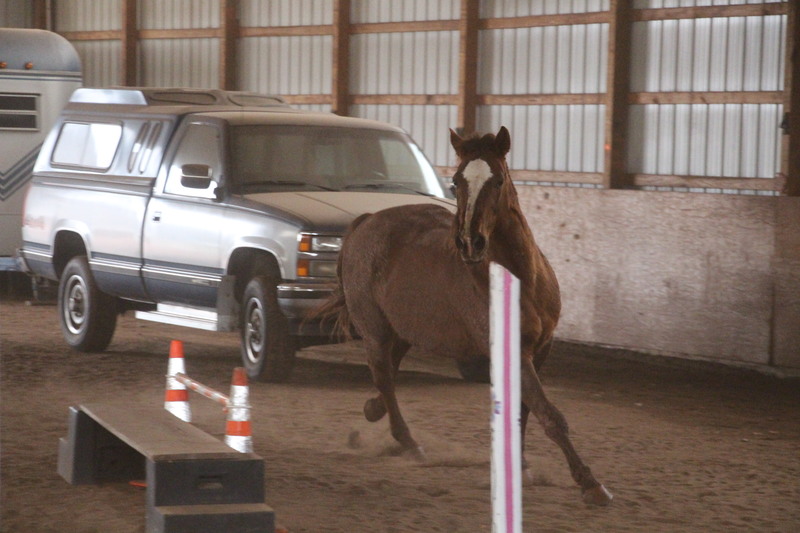 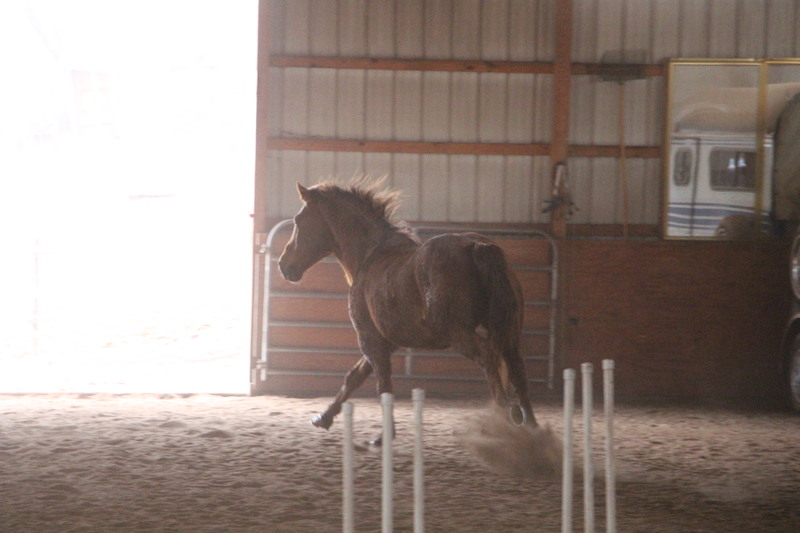 Riding sessions are held on weekday evenings from the beginning of May through the end of October.